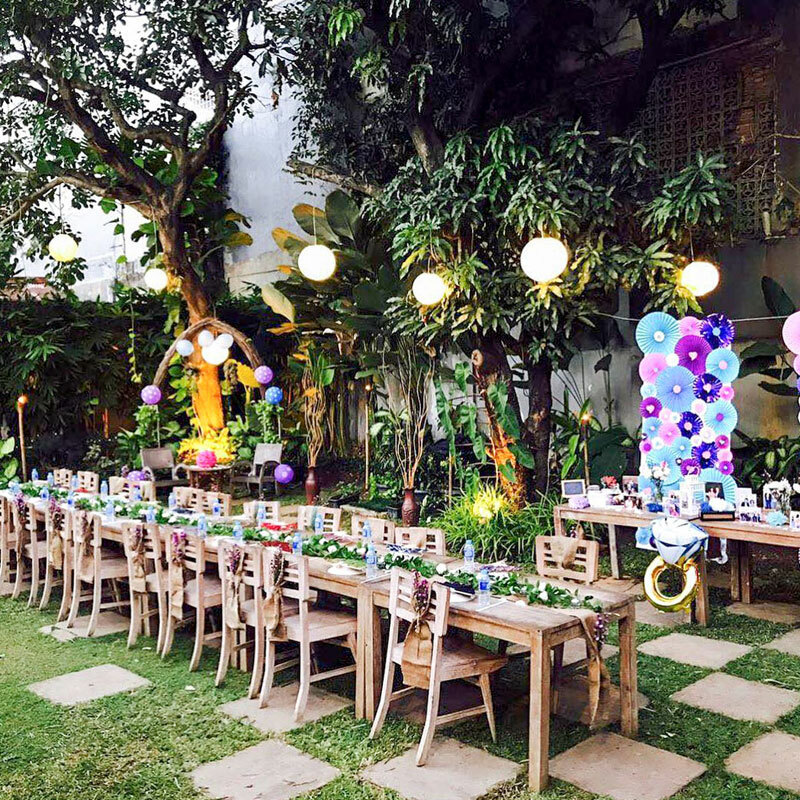 Indonesia > Jakarta > 15 Romantic garden restaurants in Jakarta with affordable fine dining for your special date! 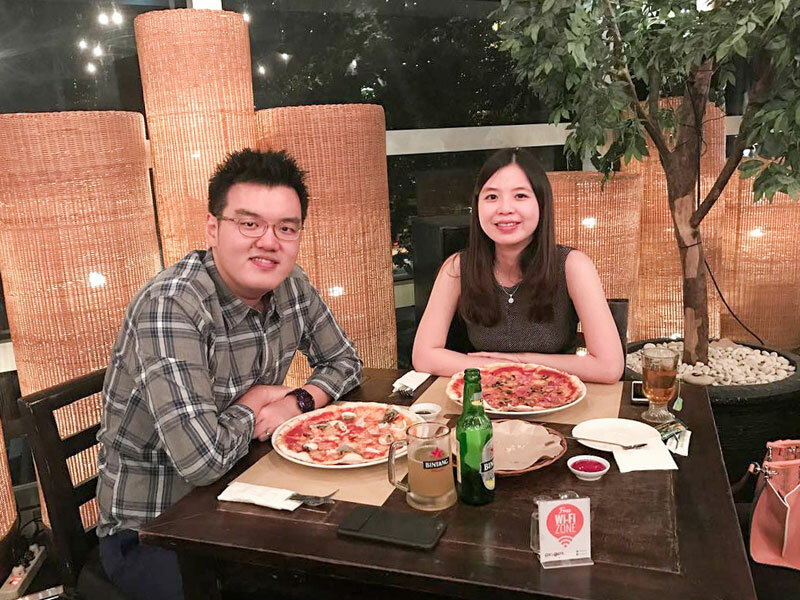 Have you heard of the saying – a couple who dines together stays together? 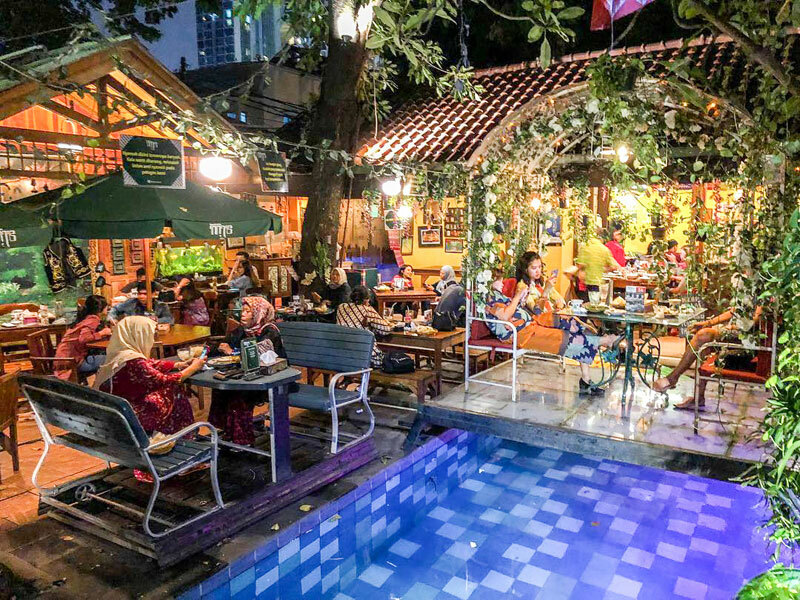 Nestled in Jakarta’s concrete jungle are romantic garden cafes decorated with refreshing greenery, where you can escape to right in the city – and we’ll bet you haven’t heard of some! 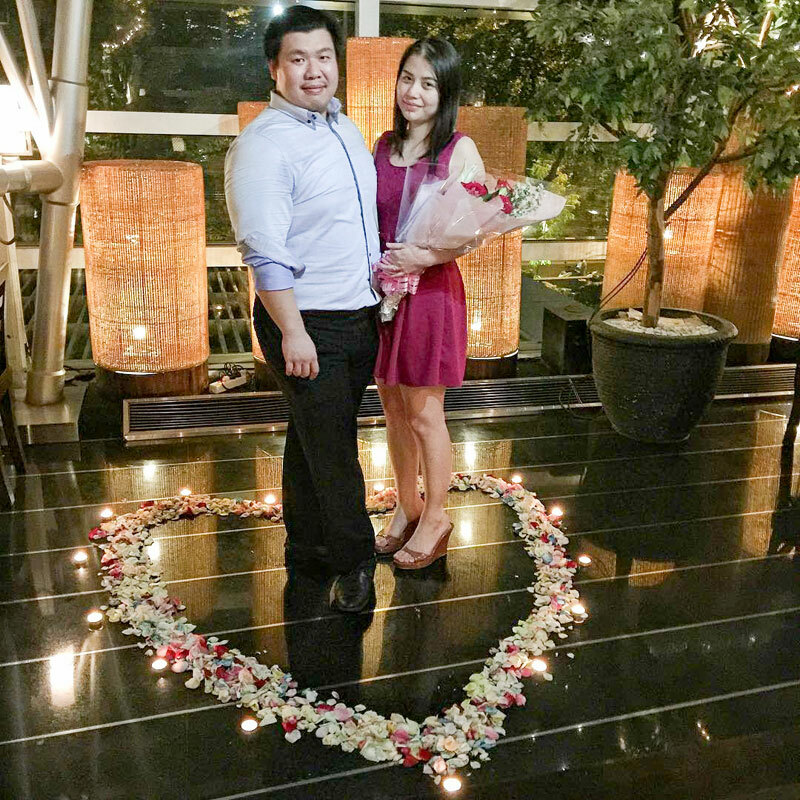 And we know that romantic dining in Jakarta can sometimes be so expensive, this special moment is a rare treat for two. But guess what, at these affordable restaurants, $15 is all it takes for an enjoyable meal for two. 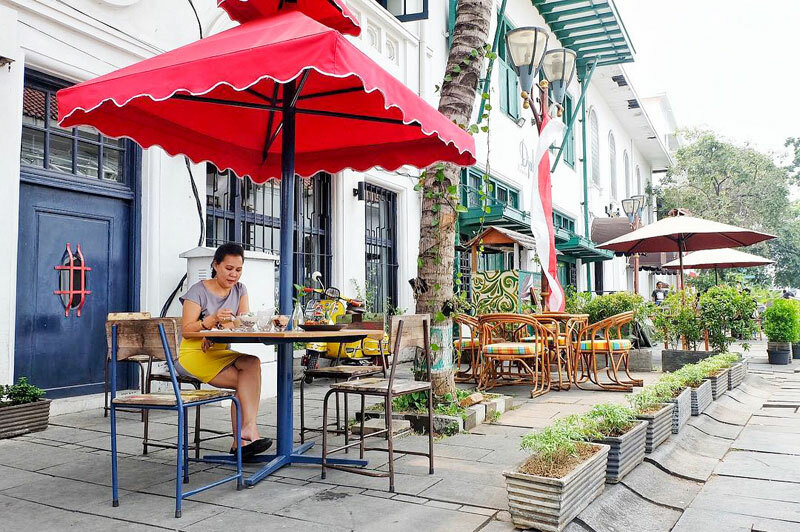 So lovebirds, get ready for your meal with a side of fresh air – head down to these cafes for a special date, where you can relax and enjoy that much-needed break and precious couple time! Bored of dining indoors? 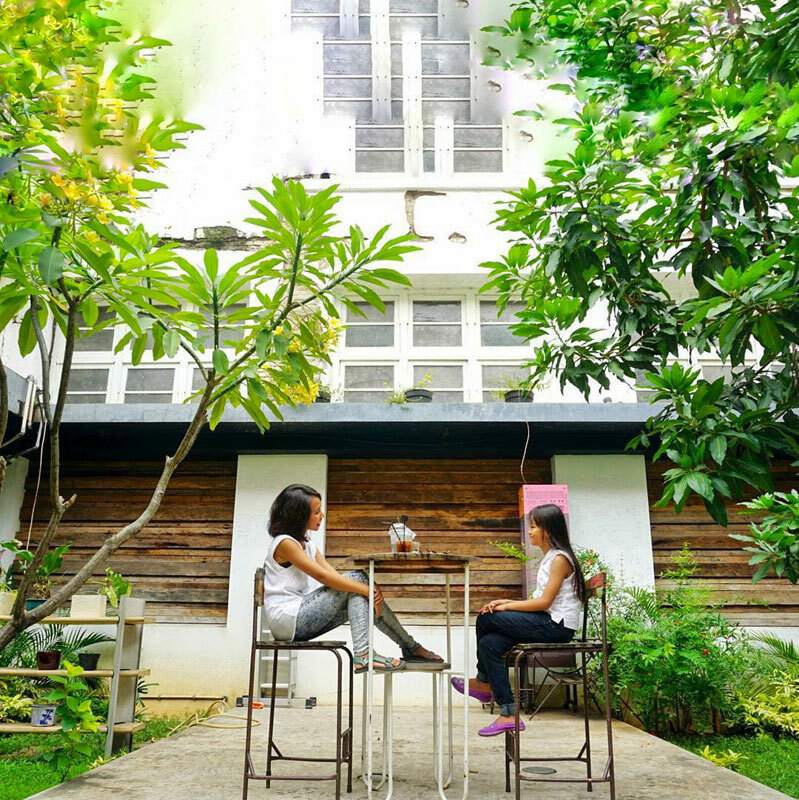 Switch it up with the open air and green landscape at Twin House Coffee & Garden. 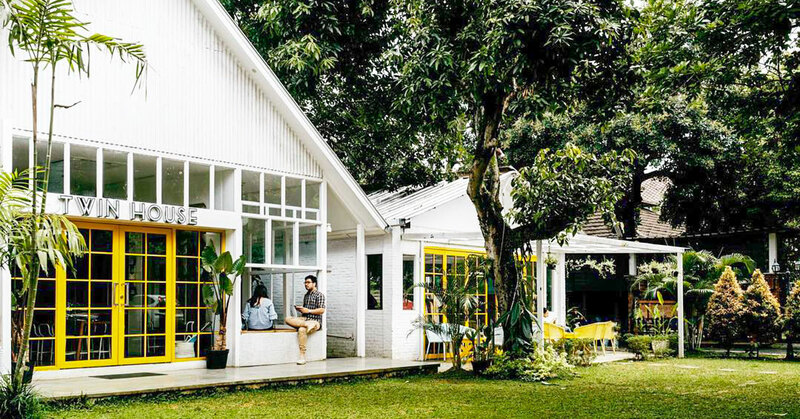 Perfect for casual meals, Twin House is your picnic-style cafe right in the midst of Jakarta’s lovely scenery. 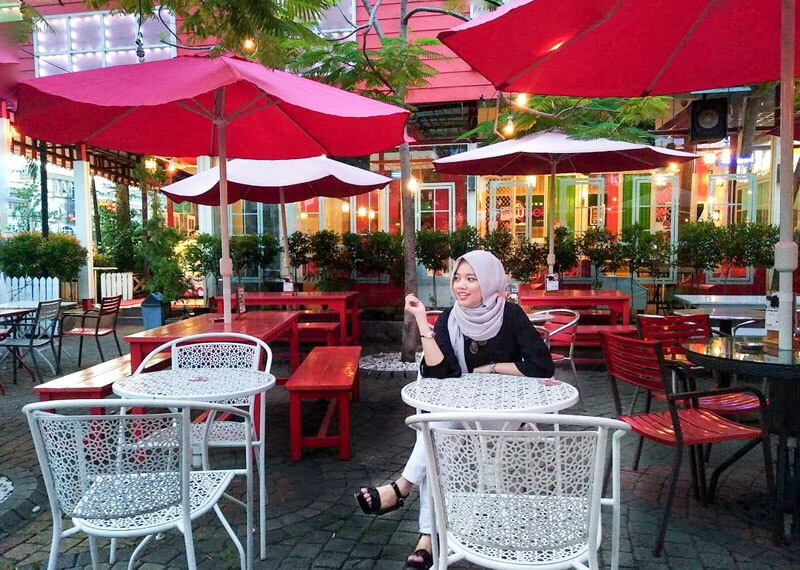 Right in front of the cafe sits a garden is dotted with colourful picnic rugs complete with low wooden tables. Not in the mood for a picnic? 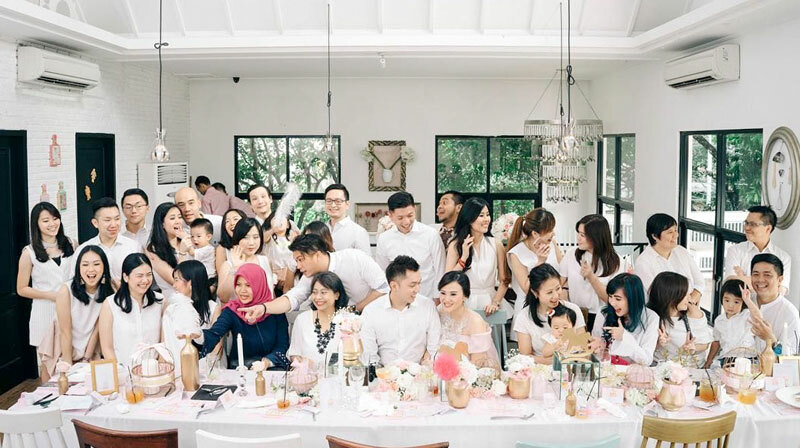 Just head indoors and be greeted with its rustic and vintage interior, decked in white walls and large windows, where sunlight streams into every cheerful corner. 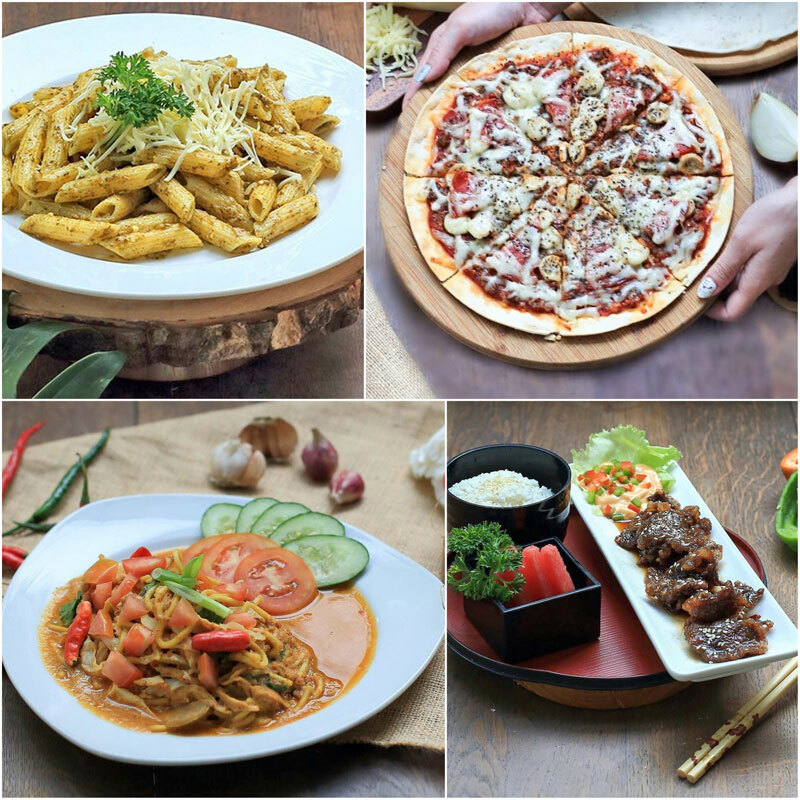 Once you’ve settled down for a meal with your sweetheart, choose from a variety of Western and Asian cuisine. Don’t forget to finish off with dessert – the perfect sweet ending to your lovely date (and without much damage to your wallet too)! 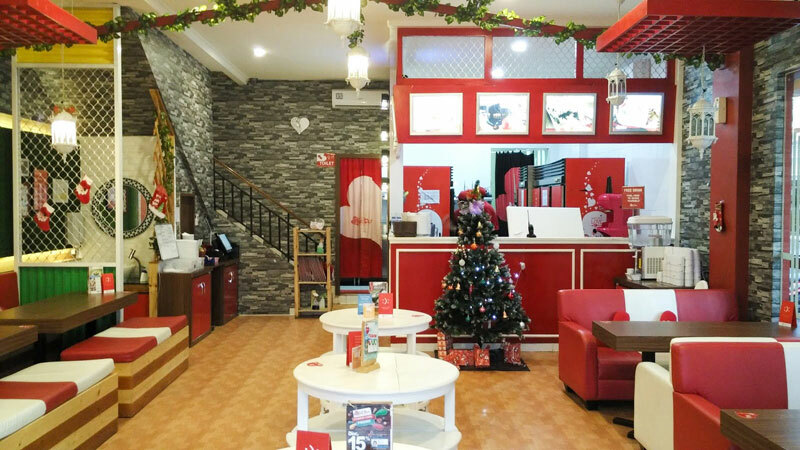 Nothing adds sparks to your romance like a little heart-to-heart session in a relaxing atmosphere. 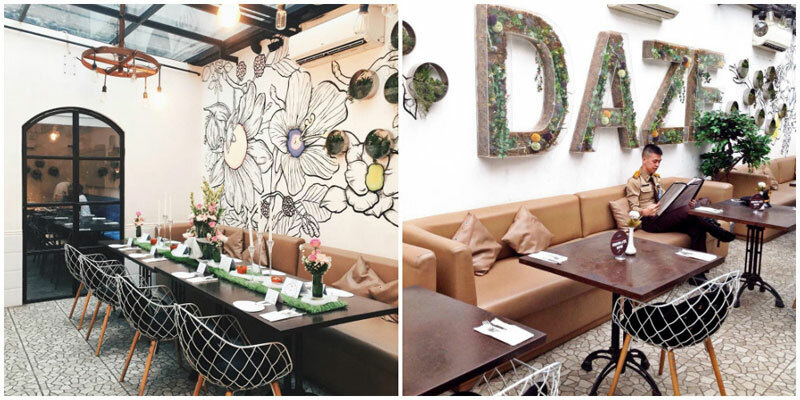 So bring your loved one to enjoy the intimate and cosy settings of Casadina Kitchen & Bakery. With a tall glass window overlooking its swimming pool and lush green garden dotted with florals, take a seat on the wooden chairs where you can enjoy private moments serenaded by soft flowing music. 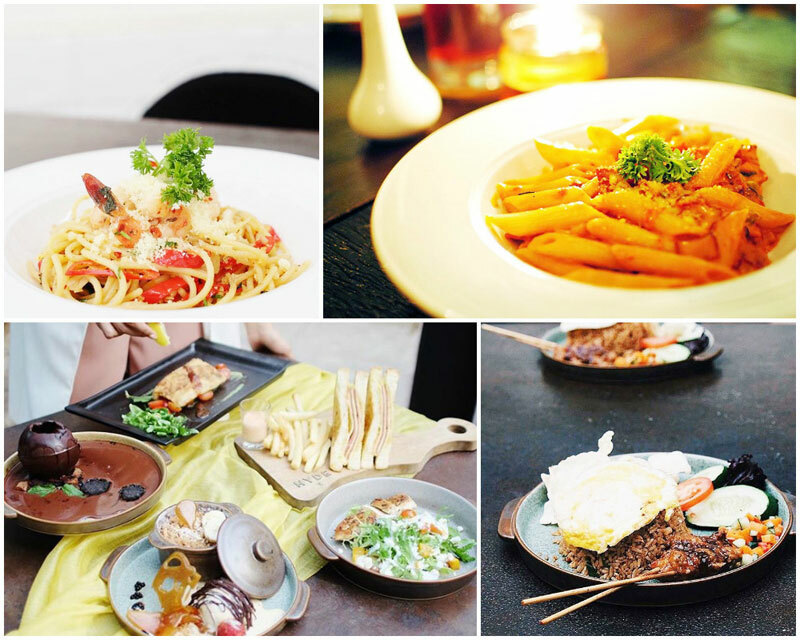 Located at the entrance of Taman Rasuna apartment near Epicentrum Walk, the food here is as enticing as it sounds. 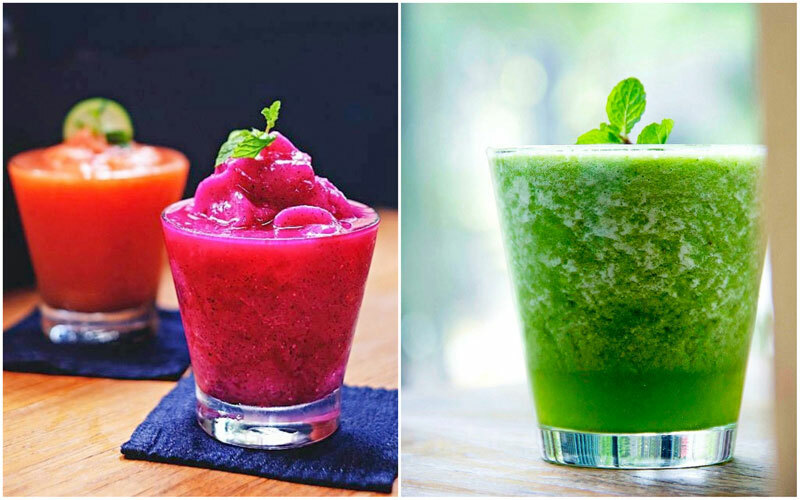 Try Dragon Snap, Get Skinny and Green Lush or other fusion food that will tempt your tastebuds. Love pasta? Don’t leave without trying their yummy (and affordable) homemade pasta, such as the bacon-and-mushroom Casadina Pesto Spaghetti. This luxe cafe is open daily from breakfast till night, so come enjoy the view anytime at this favourite love spot! 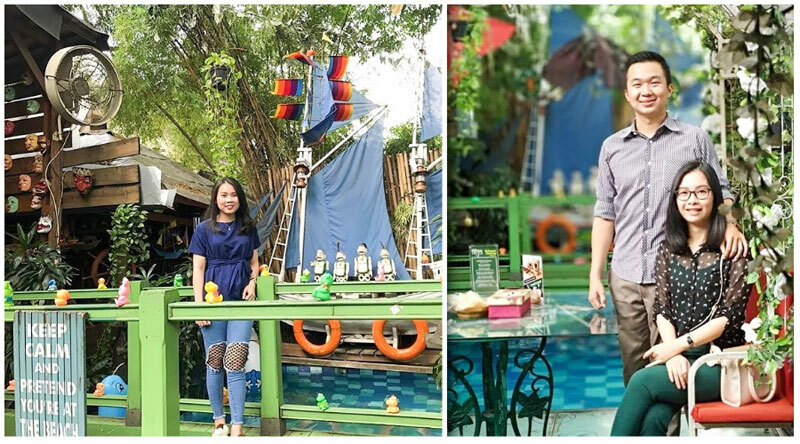 At SIKU cafe of Dharmawangsa South Jakarta, sunset is a much-awaited affair in their garden. 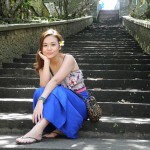 With a chill picnic concept, you don’t have to go all the way to the beach for some sunset-canoodling. 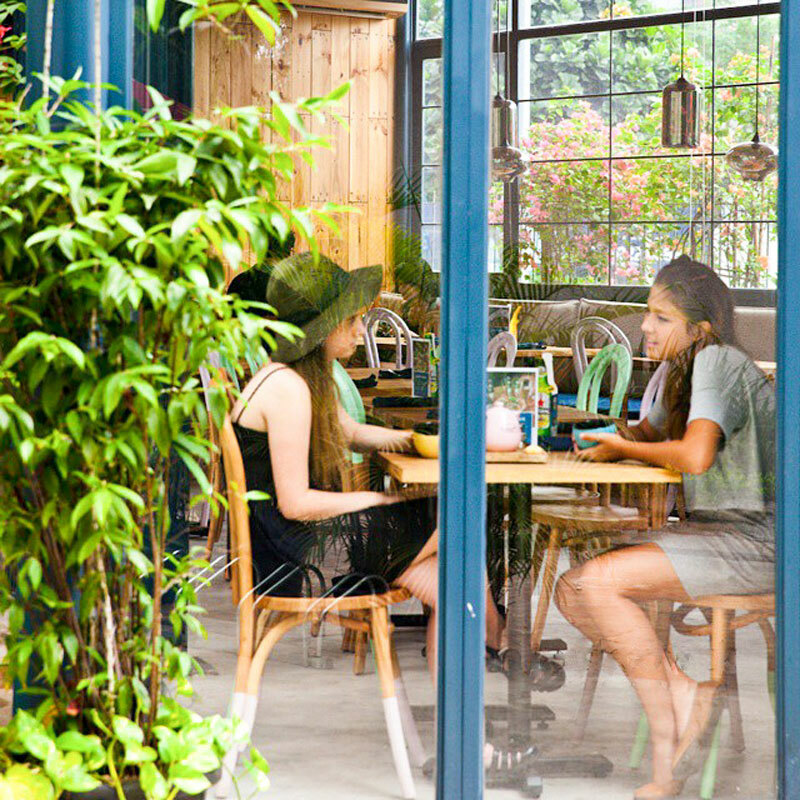 While the outdoor picnic is a favourite, the indoor cafe has its own perks too. 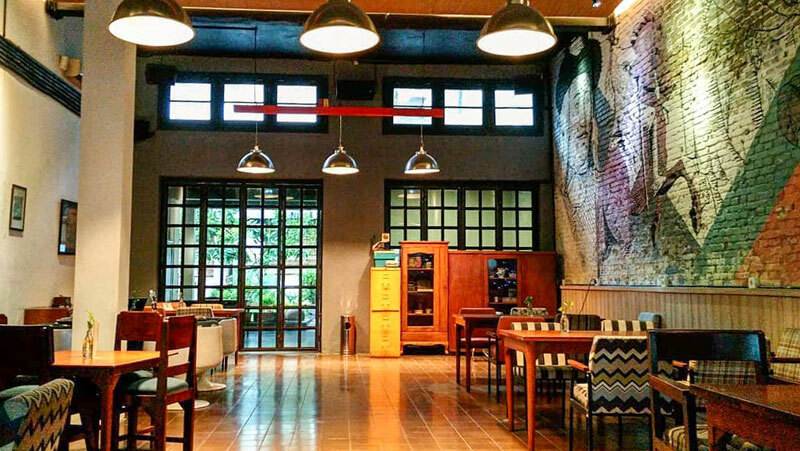 Neat retro tables and spacious ground aside, there’s also a studio upstairs for yoga, zumba and belly dancing classes – available for women and kids! We also love the wide selection of finger snacks such as homemade rissole and french fries. 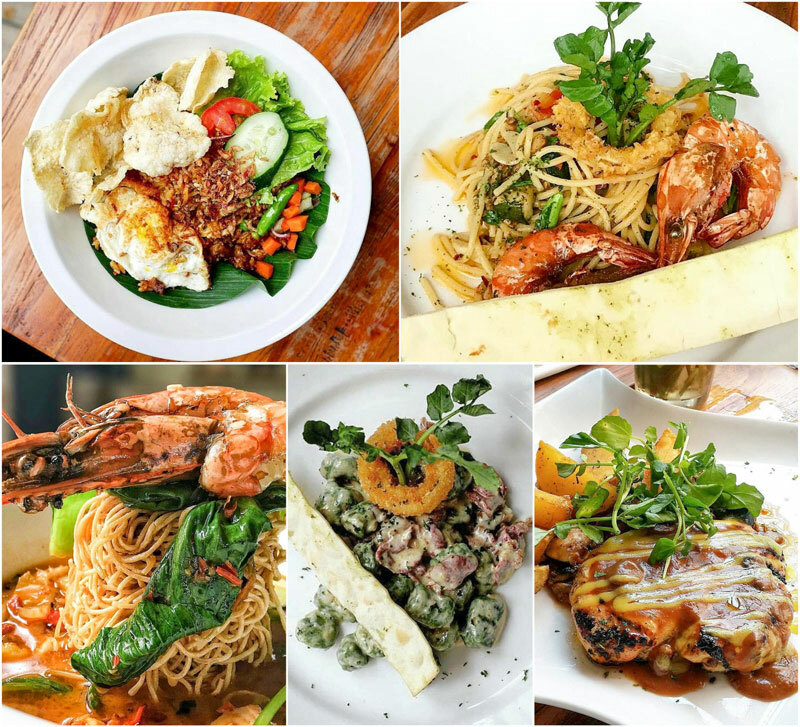 They’re the perfect prelude to main courses such as fried rice, chicken porridge, spaghetti bolognese, and the sweet & spicy snapper. 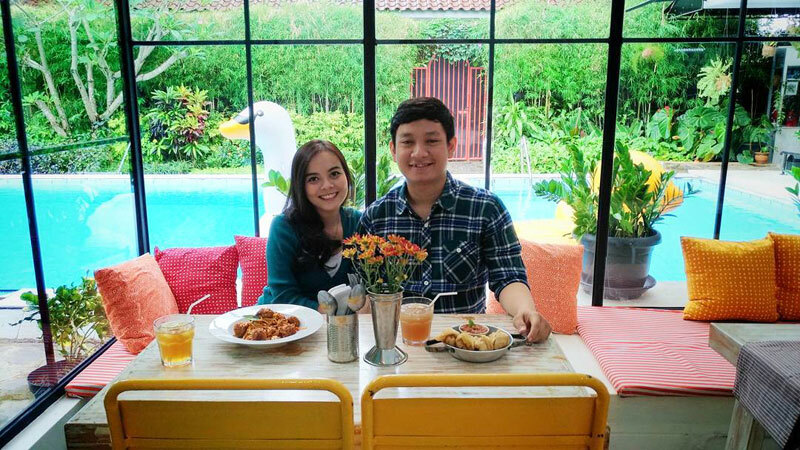 If you and your beau share the same love for traditional food, you won’t go wrong at Restoran Omah Sendok. 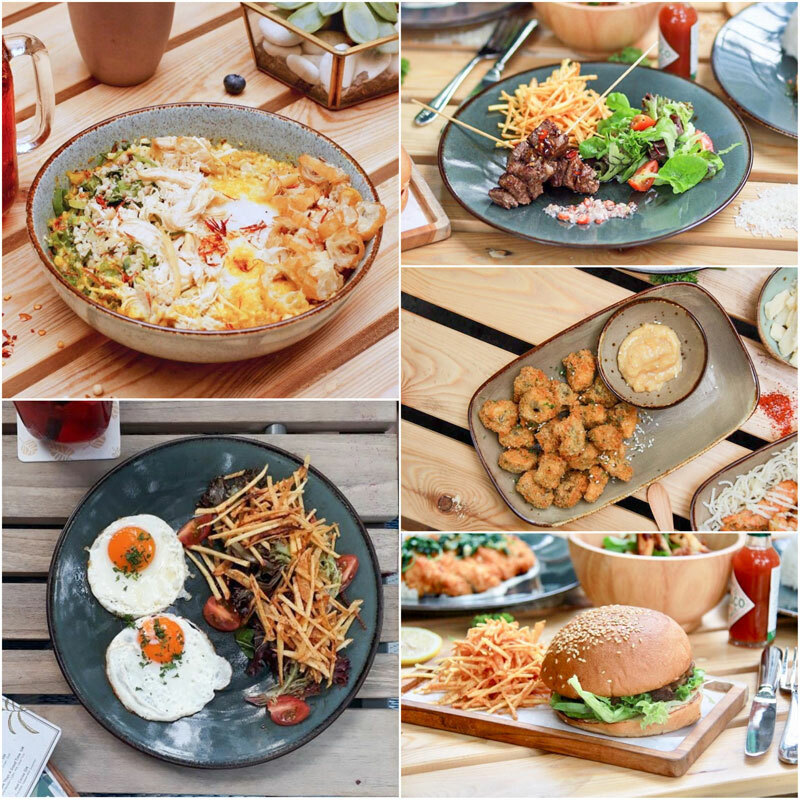 Enjoy a wide spread of Indonesian cuisine, such as Bandeng Priyayi, Gurame Soup, Grilled Chicken, Soto Tangkar, Bistik Jawa, Gado- Gado, Karedok, Tahu Cocol, Ponogoro Satay, Grilled Ribs and more. 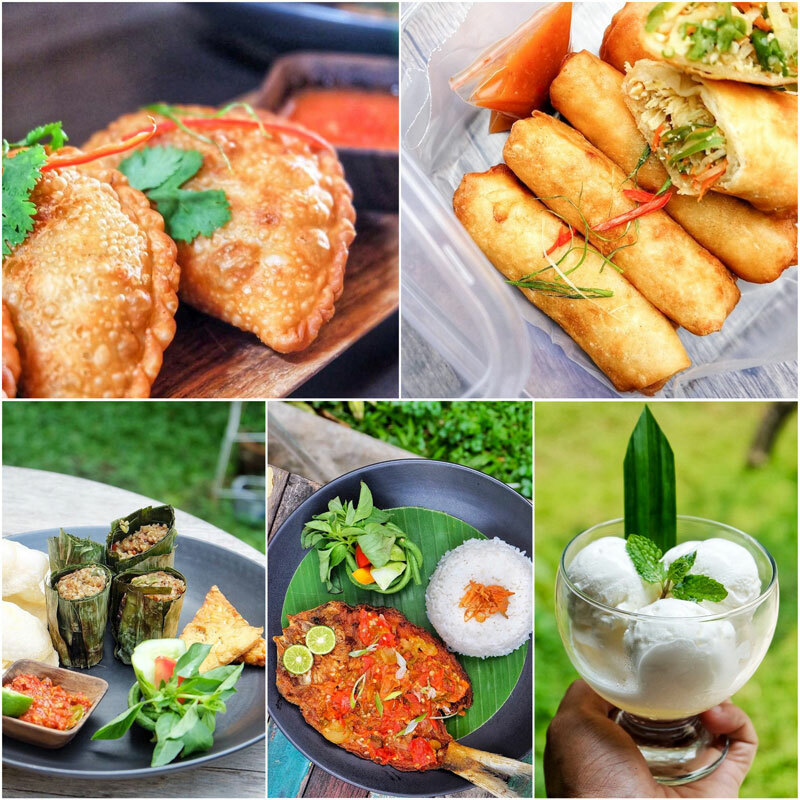 Wait till you hear about dessert – Kue Pancong (sweet coconut cookies), Bubur Sumsum (coconut milk porridge), Wedang Ronde (sweet ginger herb soup) and other to-die-for local sweet treats. 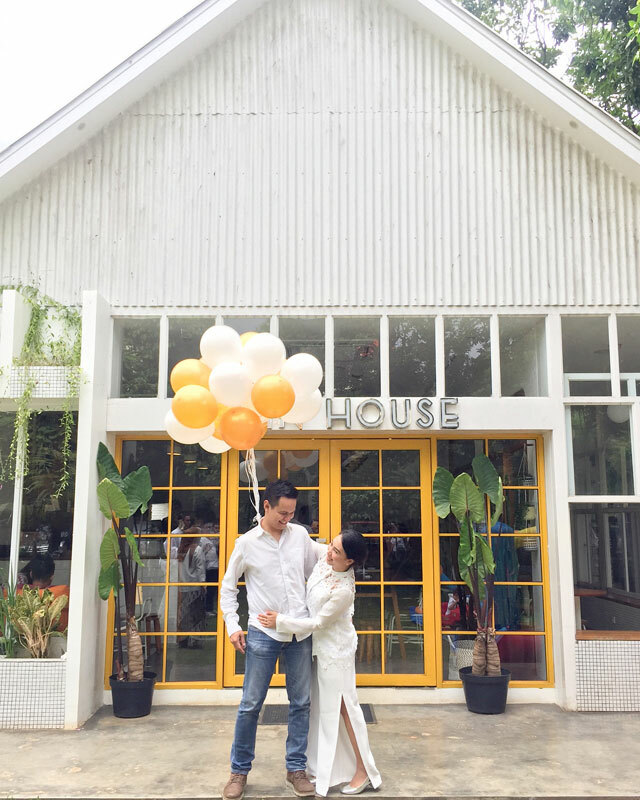 And don’t mind if we Instagram this cafe for our own Pinterest-inspired wedding venue! 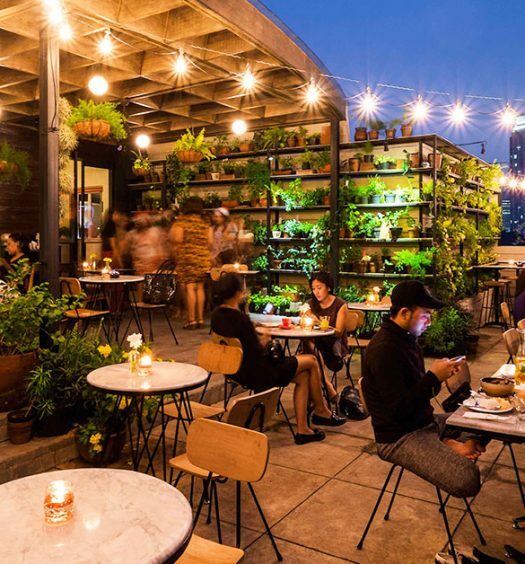 Have you had a romantic rooftop garden dining date before? 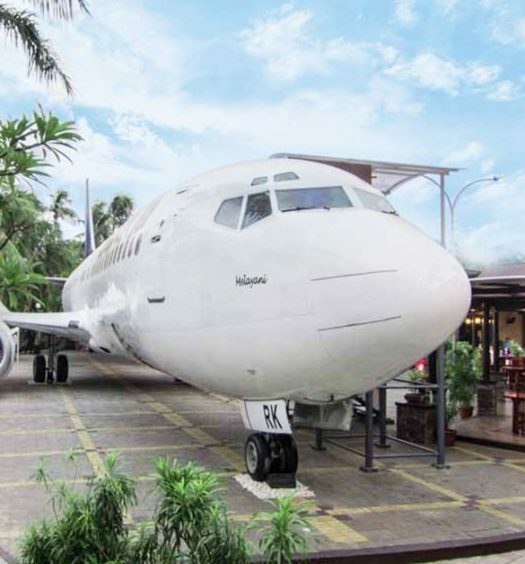 If you haven’t, it’s a mandatory couple experience, and we know where’s best! 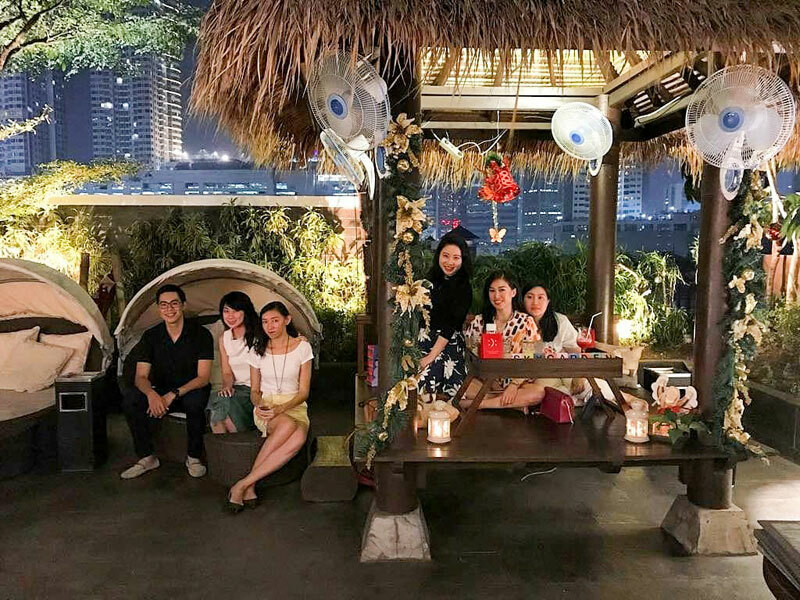 At the rooftop of Rasuna Icon Hotel in Kuningan, Sky Garden Cafe is a love nest serving a top notch dining experience with a side of Jakarta’s skyline. 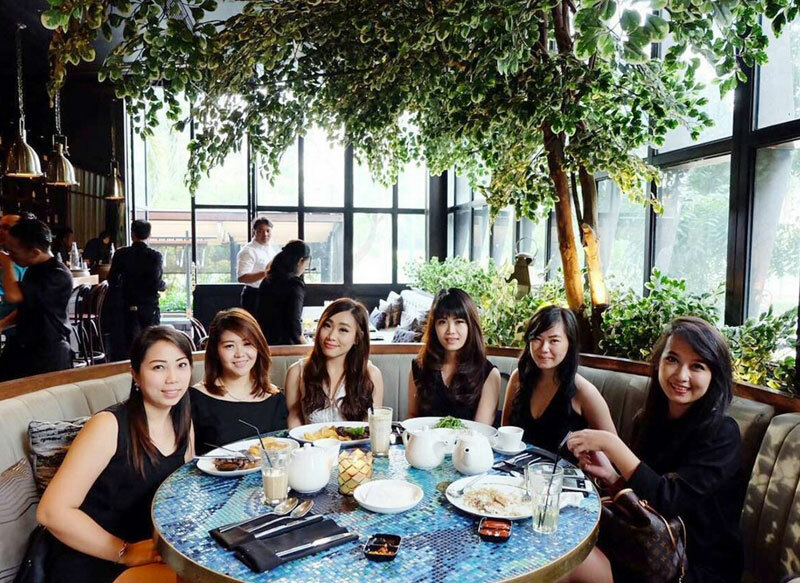 Surrounded by tall greenery, imagine a dinner with twinkling city lights from the distance. At the same time, your waiters roll out yummy Western, oriental and local dishes ready to be devoured. Most importantly, they come at pocket-friendly price tags too! For the most enjoyable rooftop romance, make sure you come early (before 5 pm) or make a prior reservation. 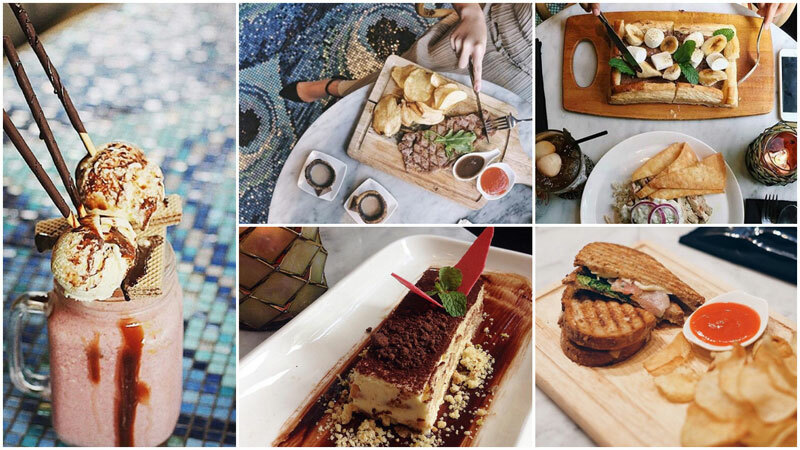 Here at Historia Food & Bar of Old Batavia, it’s all about colonial indulgence in one cozy and luxurious restaurant. 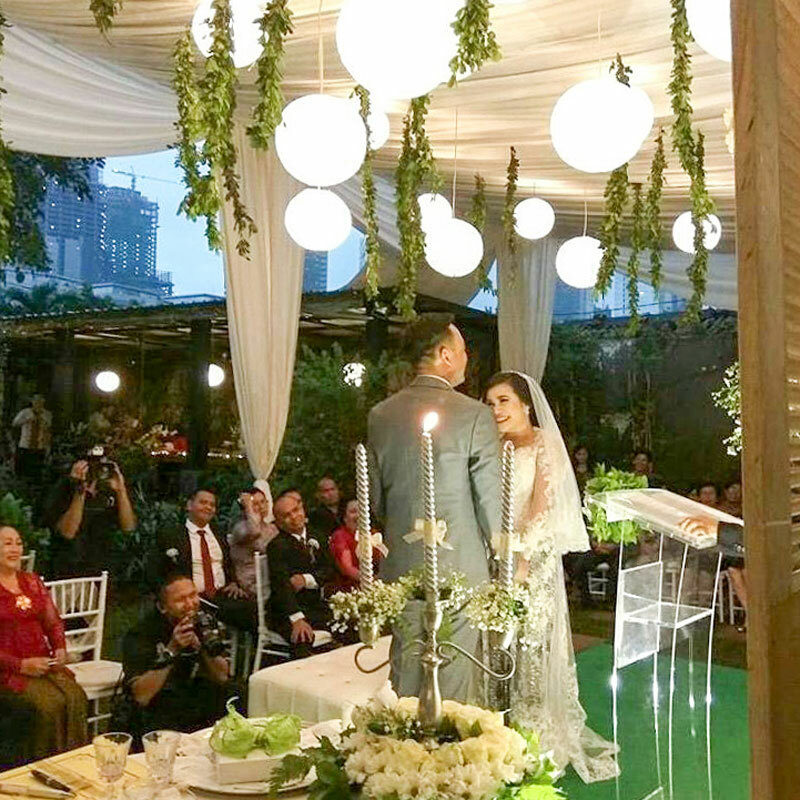 Start your date prior at Fatahillah Museum nearby, then continue with a romantic culinary by ordering the favourite appetizers – Jalangkote and Lumpia Oma. 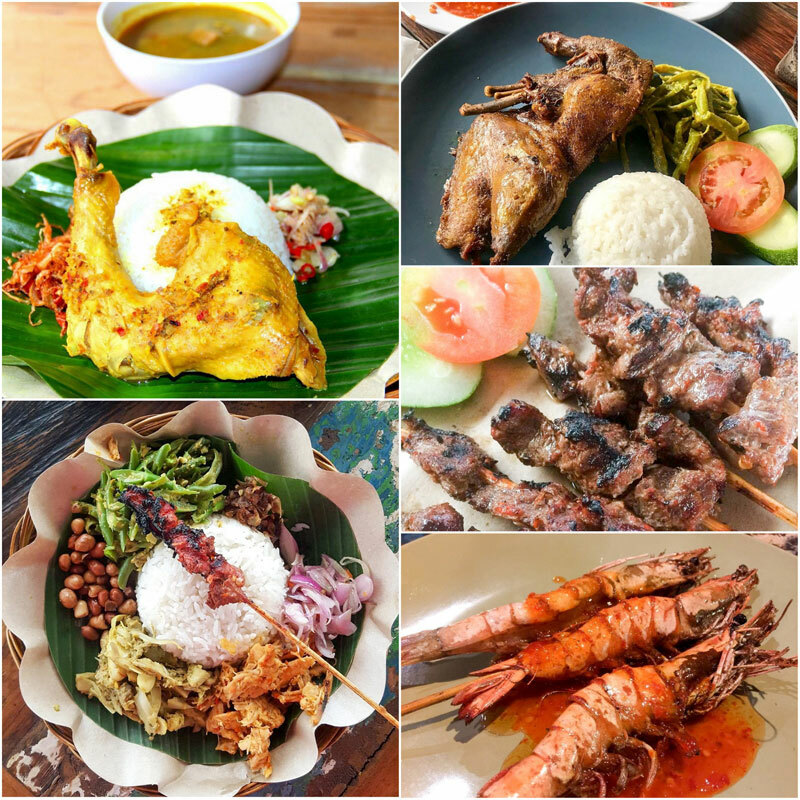 Get on with authentic main courses such as Babanci Mixed Rice, Sampyok Chicken Rice, Kecombrang Chicken or Grilled Bandeng with Sambal Matah. The perfect drink here is either the fresh Ice Tajin or Ice Jenggala. If the weather permits, head outdoors and relax in its unique Parisian-sidewalk seating. It’s as homey as it’s photogenic! 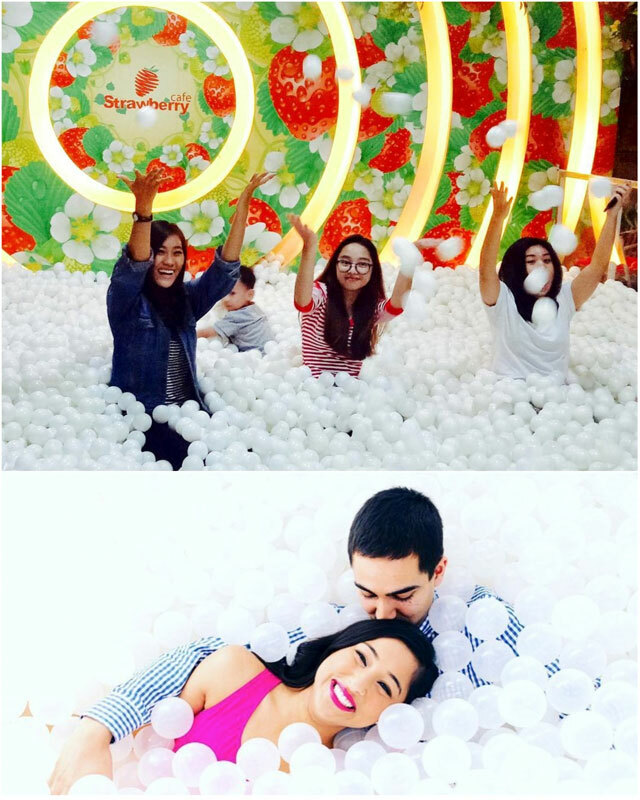 Words to the wise: come early because it’s a popular spot even for non-couples! 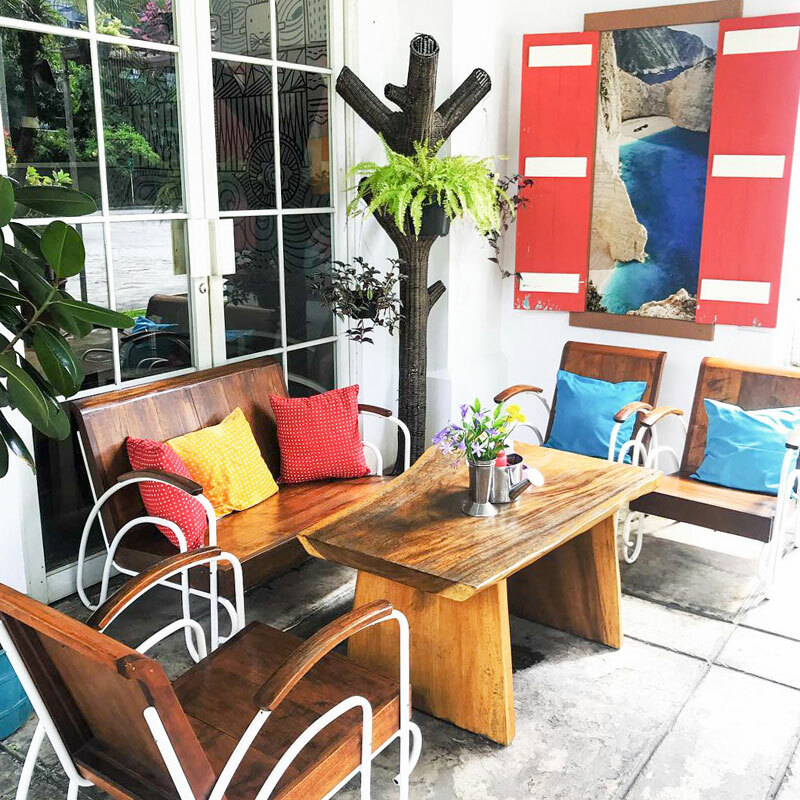 Say hello to HaloNiko – an outdoor cafe serving a unique blend of Grecian and Javanese cuisines and cultures. 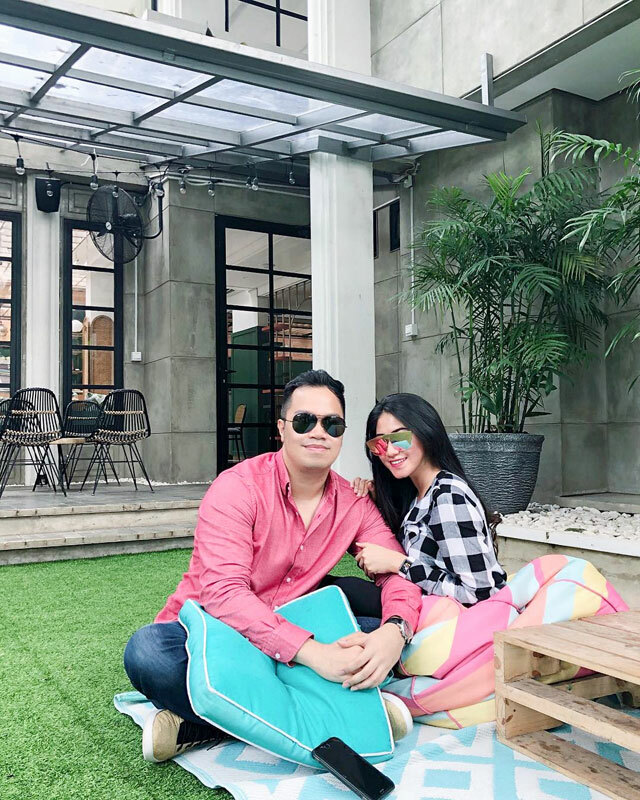 The founders, Nikolaus Avgoustinos and Rika Hardjosuwarno, are the perfect #couplegoal as they team up to present you the most gorgeous outdoor settings. 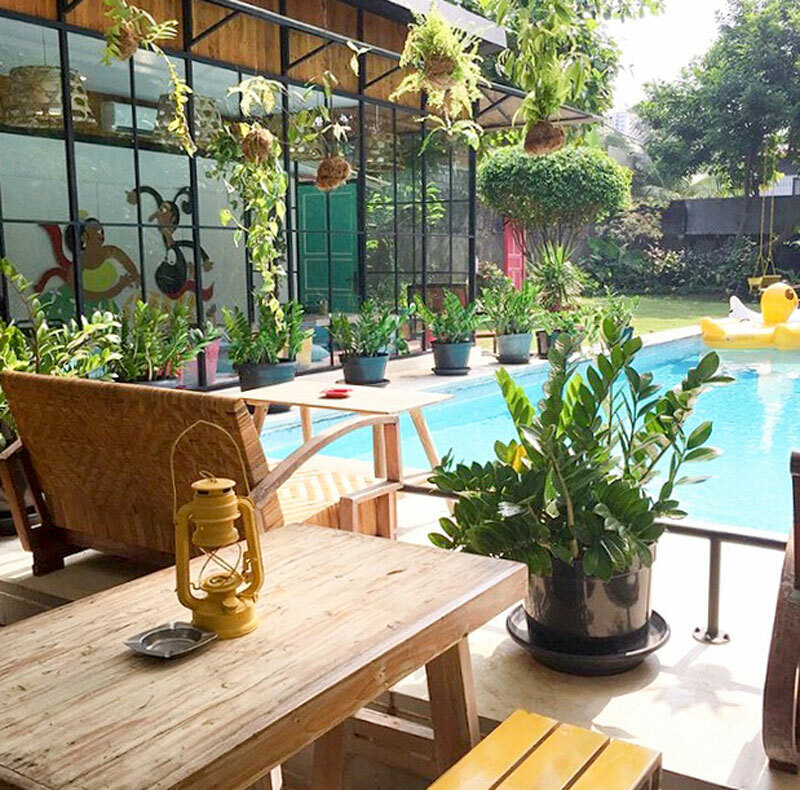 A tastefully decorated swimming pool, eclectic furniture and green decor – we’re totally hooked! 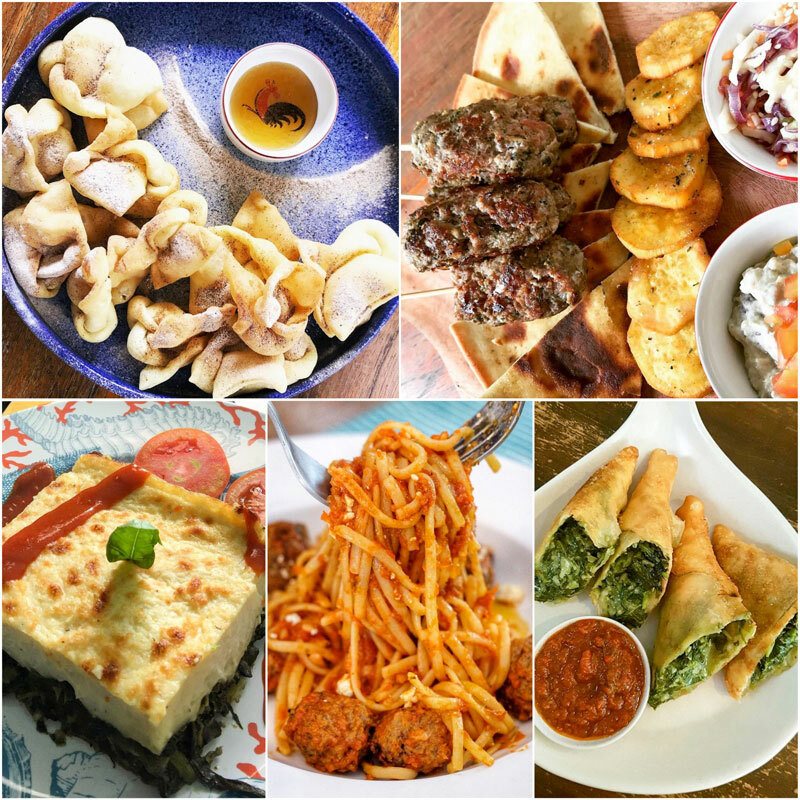 The menu itself is a promise of exotic experience with names such as Souvlaki Chicken, Merida Beef, Mama Mousaka, Pita Skepasti Beef, Greek Lamb Chops, Mezze Mezee, Spinach Lazania, and Lukaniko Pita. Worried about pronunciation? 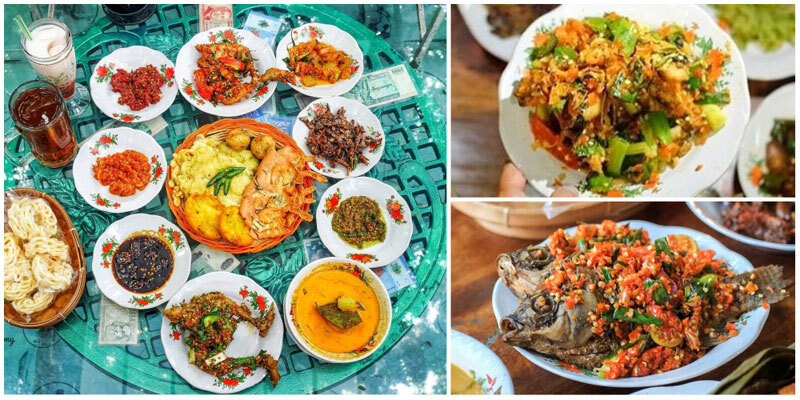 Stick to Javanese meals such as Lotek, Klaten Grilled Chicken, Prawn Noodles, Aye Fried Rice, Beef Satay or Sego Campur Mesem. And of course, don’t forget to enjoy the view! 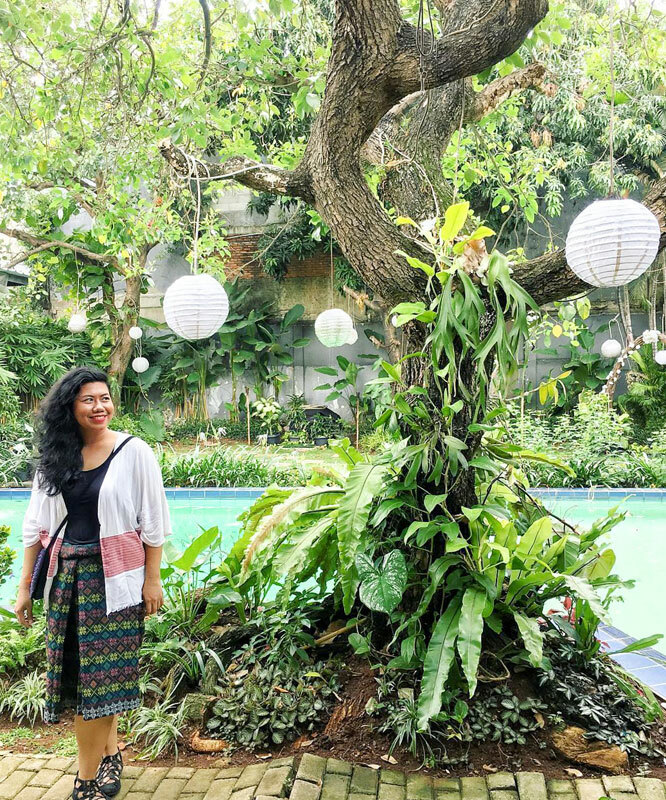 Let Bali come to you right in Tebet, South Jakarta. 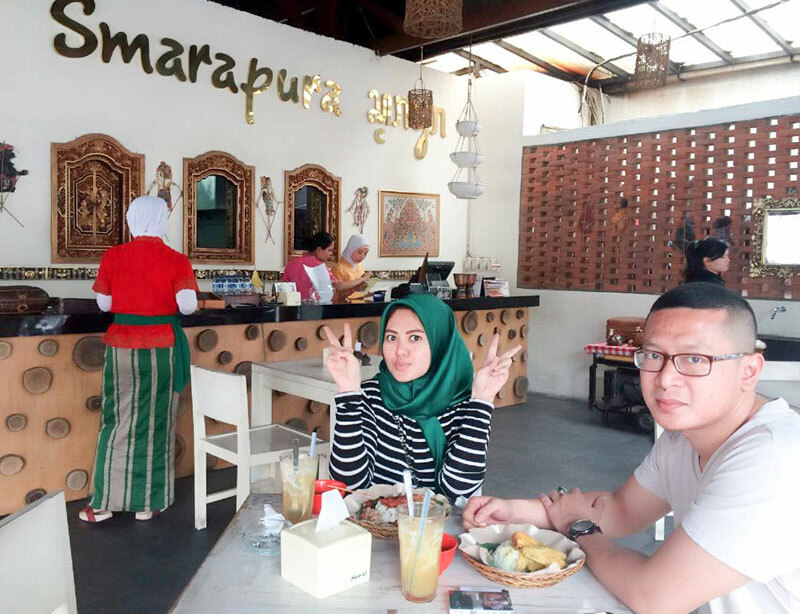 Smarapura Traditional & Resto is a Bali-inspired restaurant, and its name means “a beautiful and enjoyable place”. Served by waiters in traditional Balinese uniforms, your table overlooks the clear pool complete with the peaceful sound of trickling water. 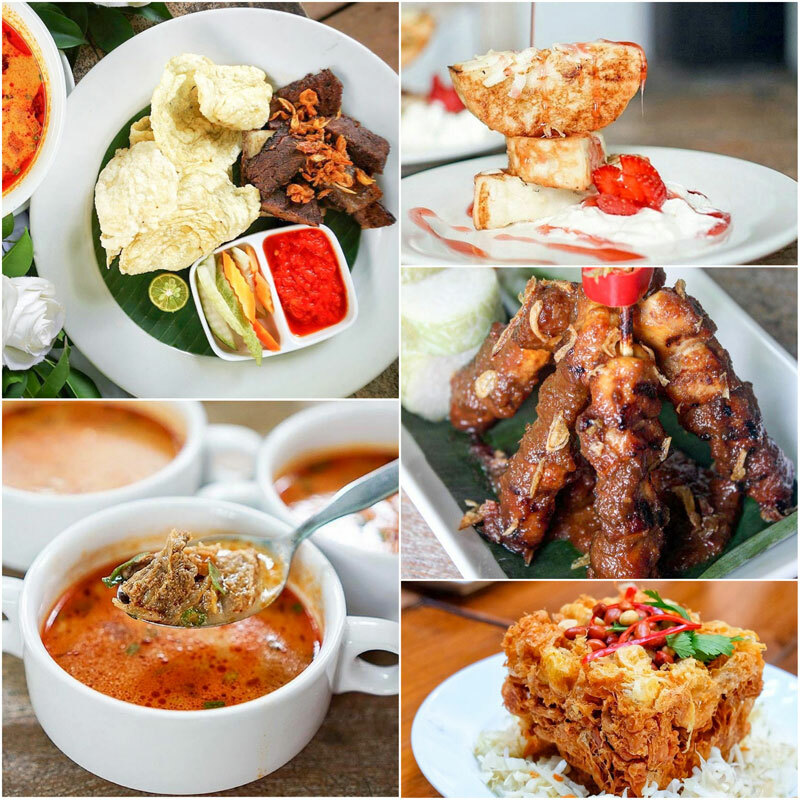 Don’t miss out on their special Balinese dishes such as Ayam Betutu or Grilled Smarapura Ribs to complete your Bali experience. And nope, no tourist price here – just the standard cafe price tag you’ll approve. Euro currency going up? 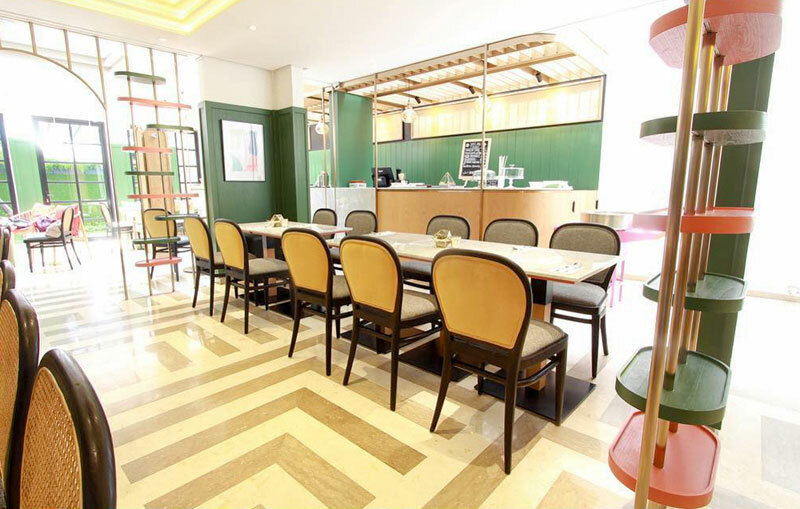 Never mind that – your European-theme cafe awaits at Central Park. 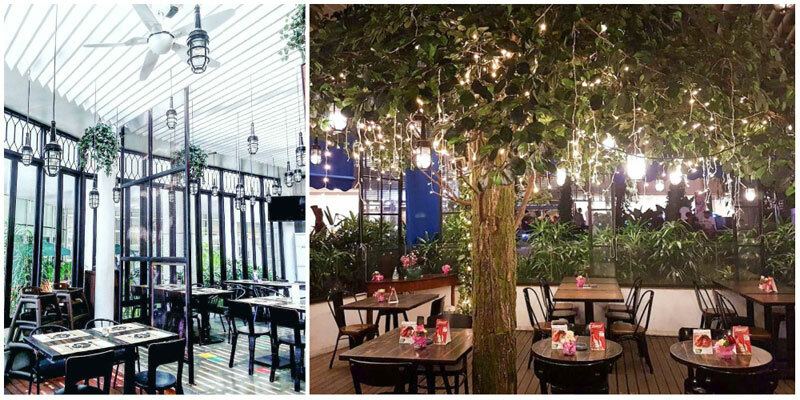 Luciole (which means fireflies in French) may be inside the mall but it’s styled with lush tall trees and hanging light bulbs inside the space, creating breathtaking garden vibes oozing with romance. No boring menu too when you’re in Luciole – Black Squid Ink Spaghetti with mint leaves is one you simply have to try for less than Rp. 79,000 (approximately USD 5.85). 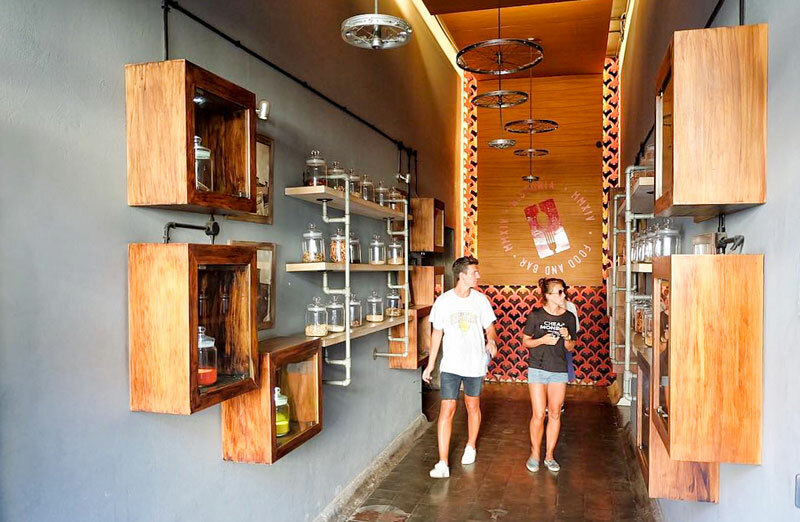 Happiness is stepping into this cafe with your loved one in tow. There’s something about Sweet Hut’s front yard that puts you in the right mood. We suspect it’s the combination of lovely white tables for two underneath the bright red parasols that does it. Or it could be the delicious prospects ahead of you. Who can say no to coconut pudding with caramel or ice cream? What about that baked maquis chocolate pudding with cookie ice cream? 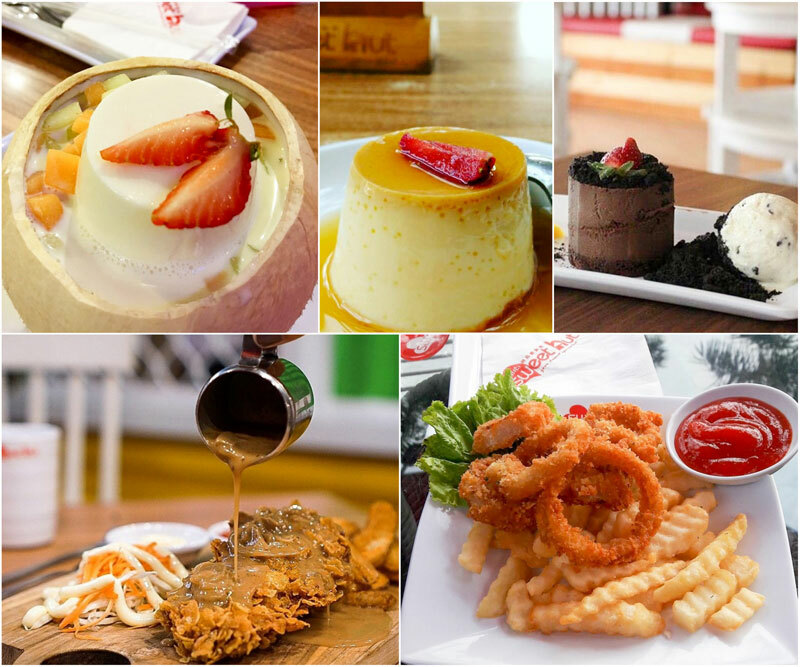 Those are just a few desserts that will sweeten your evening after your main courses. But most definitely, the live music, wonderful service and affordable prices are just the right features that will brighten up your day. 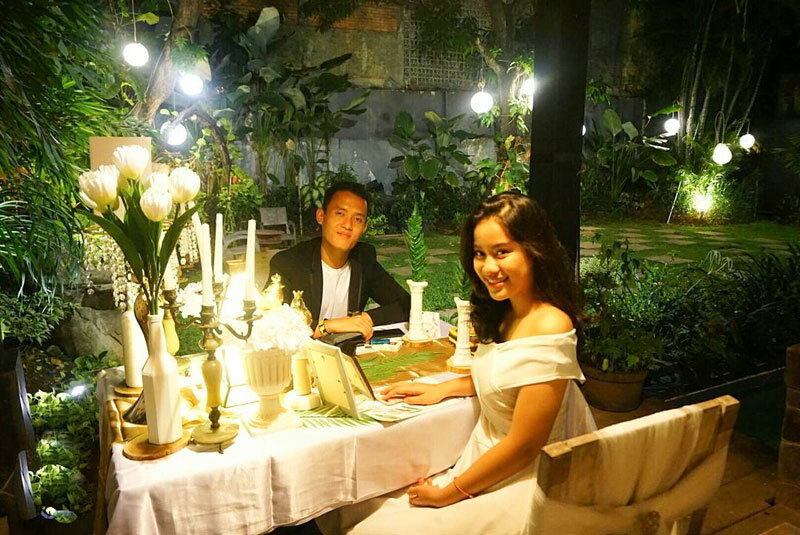 If a candlelight dinner in an exotic foreign country is in your romance bucket list, you can tick it off now. 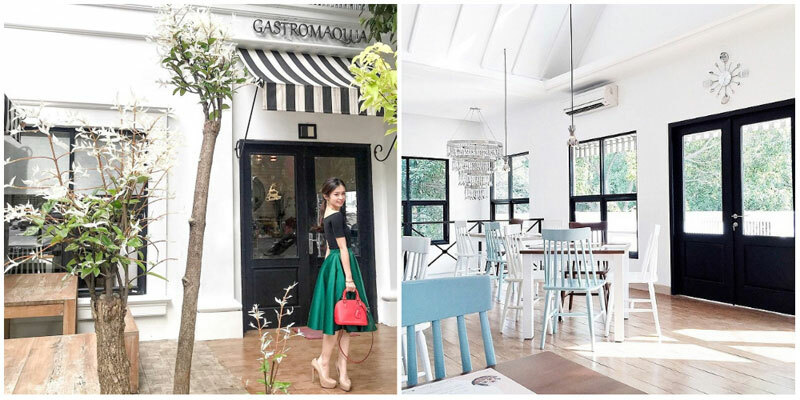 Gastromaquia in Senopati offers a romantic Spanish dining experience with all the Instaworthy factors. 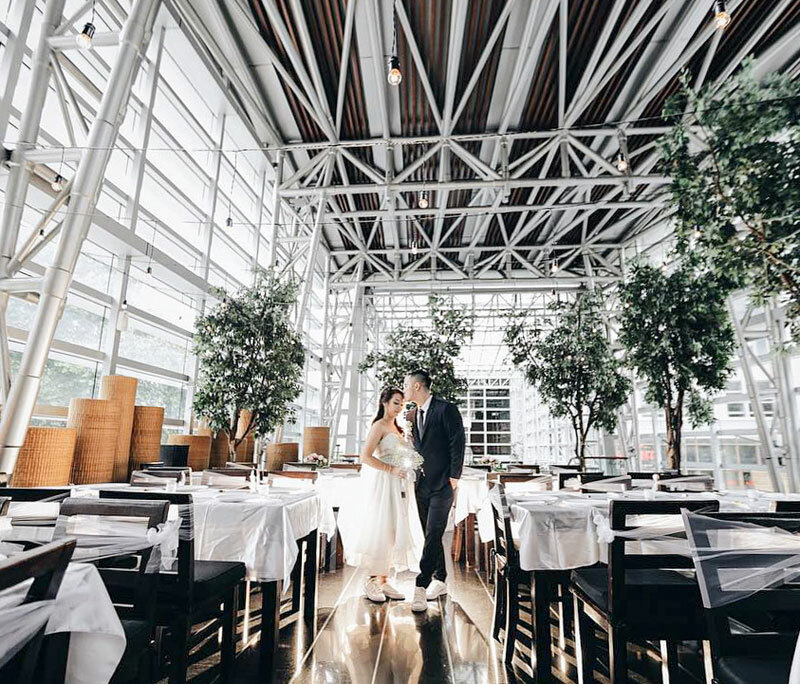 The two-storey restaurant takes on an all-white theme and further enhances it with natural lighting. 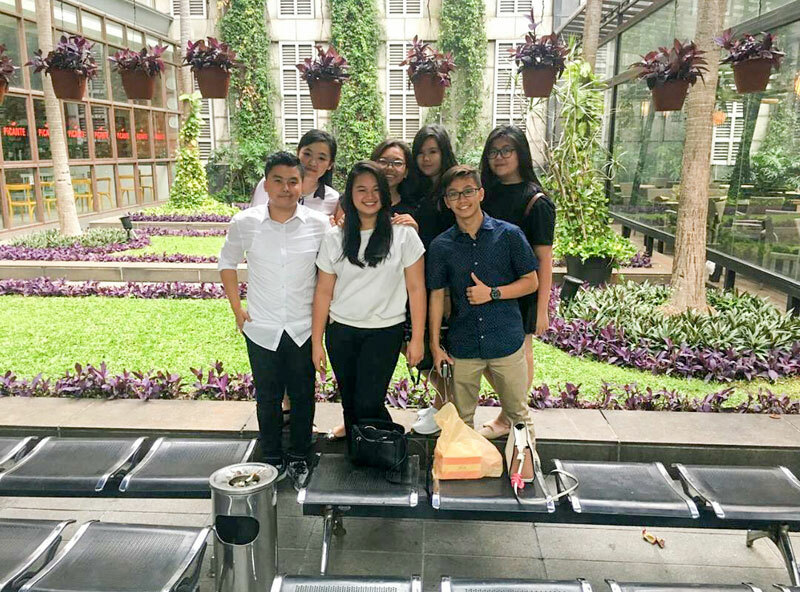 Luxurious yet homey, the indoor restaurant is furnished with glass windows all around, allowing a direct view to its green garden. You can also take the outdoor seat to absorb this beauty at its fullest. 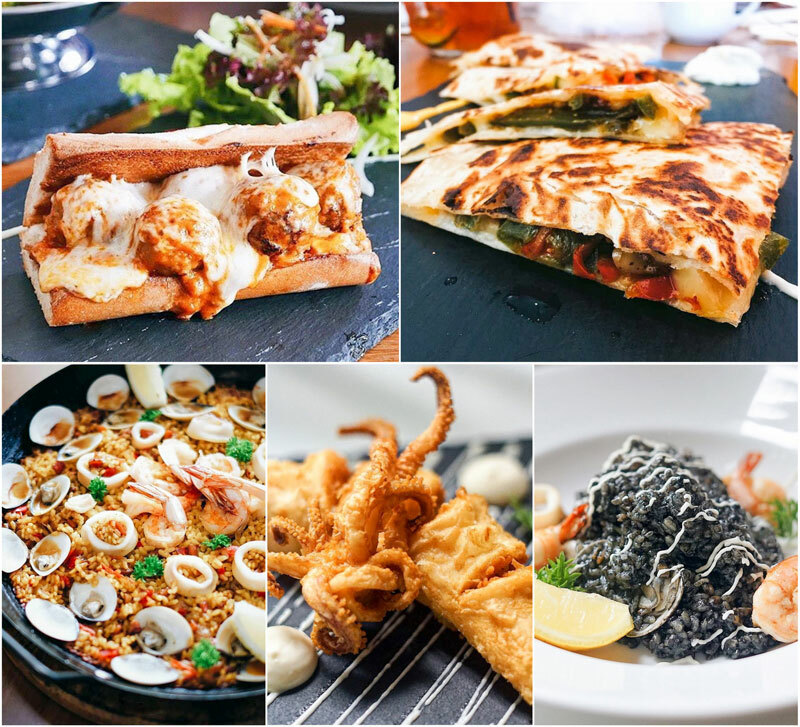 When you senor and senorita are ready to order, try out some Chicken Quesadillas, Albondigas (meatballs with tomato sauce and mozzarella cheese), Pulp Al Ajillo or Grilled Chili Squids. All at an affordable price that makes you happy. You must already know this – a fine dining date does wonders to all relationships. PEPeNERO is just the perfect solution when your bank account doesn’t allow you to splurge. This restaurant understands that all it needs is a classy interior, a reasonable price and romantic vibes to get you going! 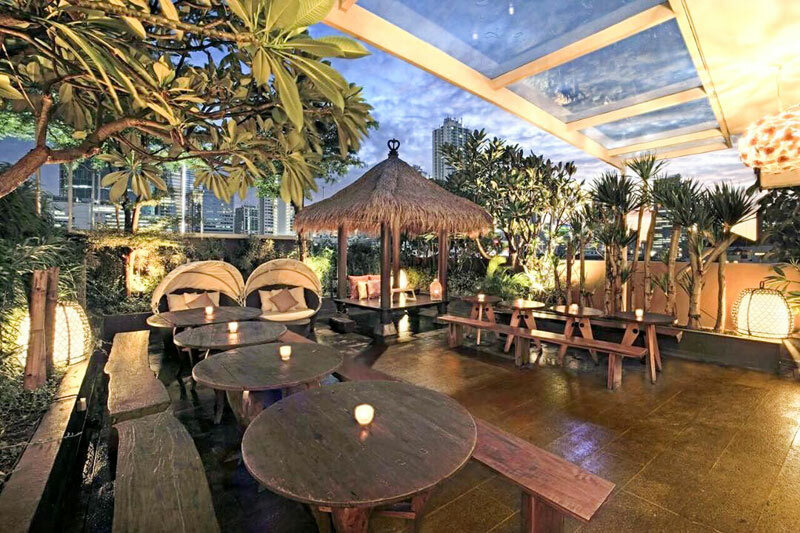 Head out to its semi-outdoor area with tall glass windows that showcase the gorgeous open garden below. Or head to the second floor, where you’ll find a lovely indoor green space. 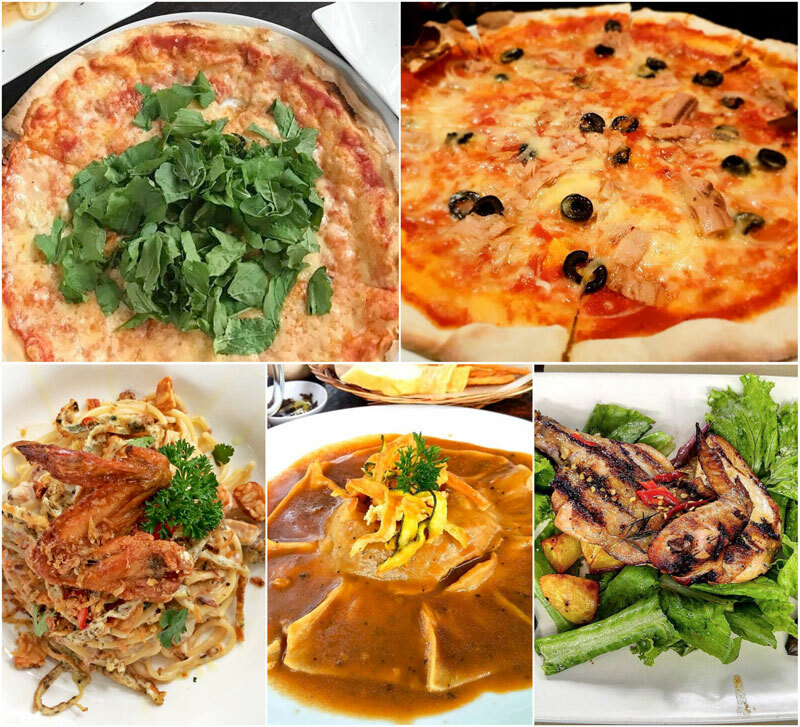 The menu here is mostly Italian, so expect hearty pastas, yummy soups, mouth-watering pizzas and other delicious varieties. 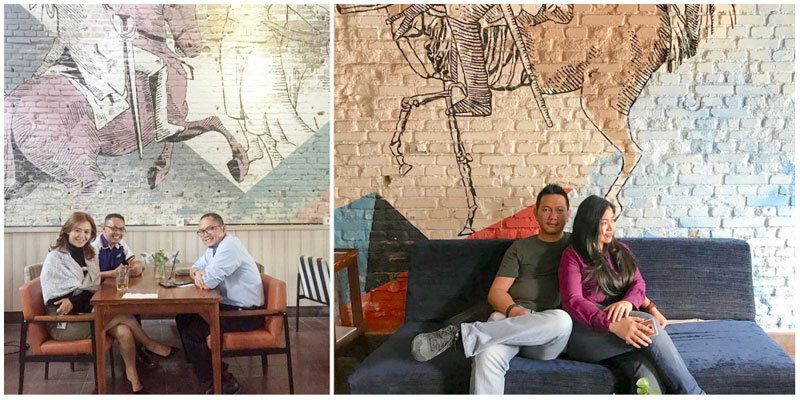 Take your sweetheart back to Java and Chinatown in the ‘50s era at Warung MJS Setiabudi. 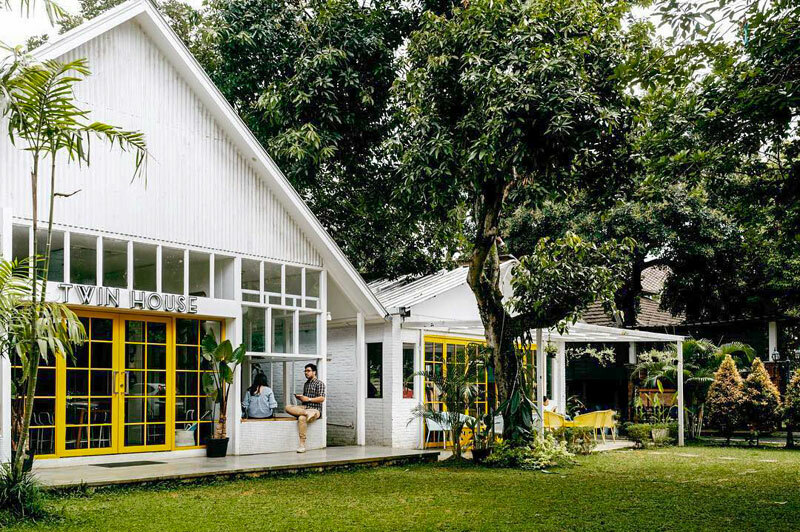 This unique vintage cafe is old-school-loving at its best! Shaded under the tall verdant trees, secure your own romantic gazebo perched above the blue swimming pool. If not, grab some of the quirky wooden seats around! 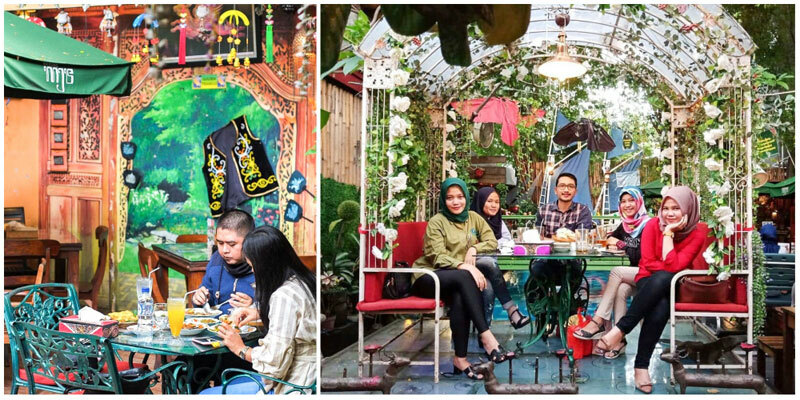 Short for Warung Mbah Jingkrak, the fun concept here dials back to the old period of Java and Chinatown. The collection of old soy sauce bottles, vintage cigarette packs and other Chinese decorations add fun nuances for all diners. Strawberry lovers, dive in. 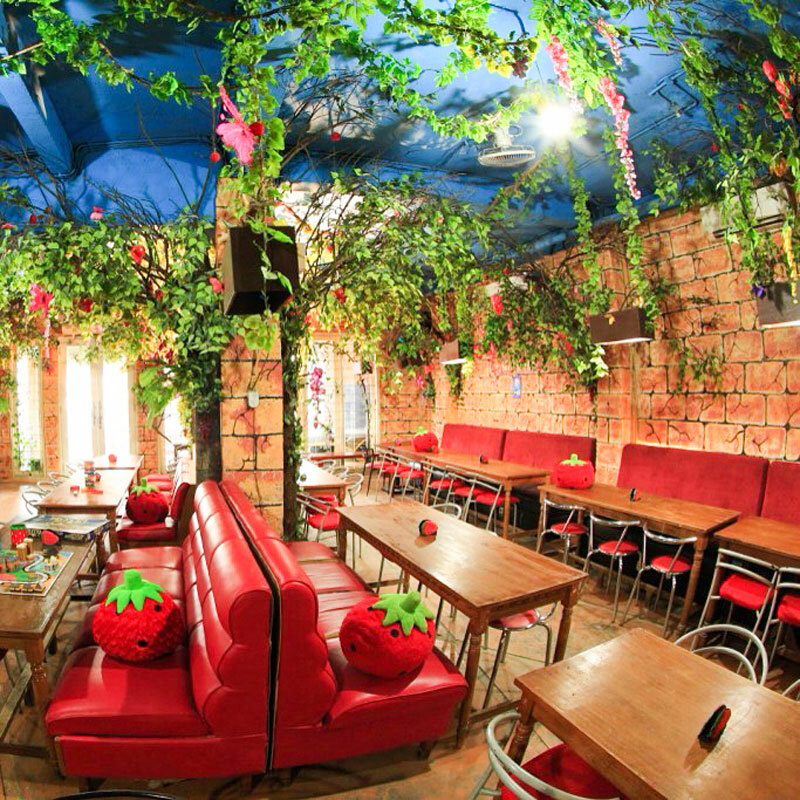 This is your strawberry heaven complete with the green farm and tree decorations! 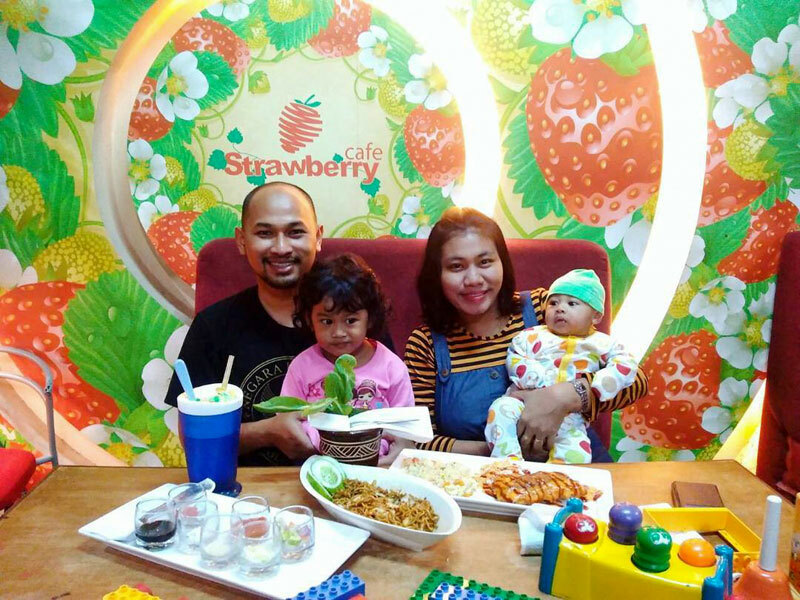 Not stopping at a strawberry-themed space, even the food is all cooked with strawberries (yes even for fried rice and spaghetti!). And the garnish? You guessed it! It’s strawberries instead of the usual tomatoes or cucumbers. 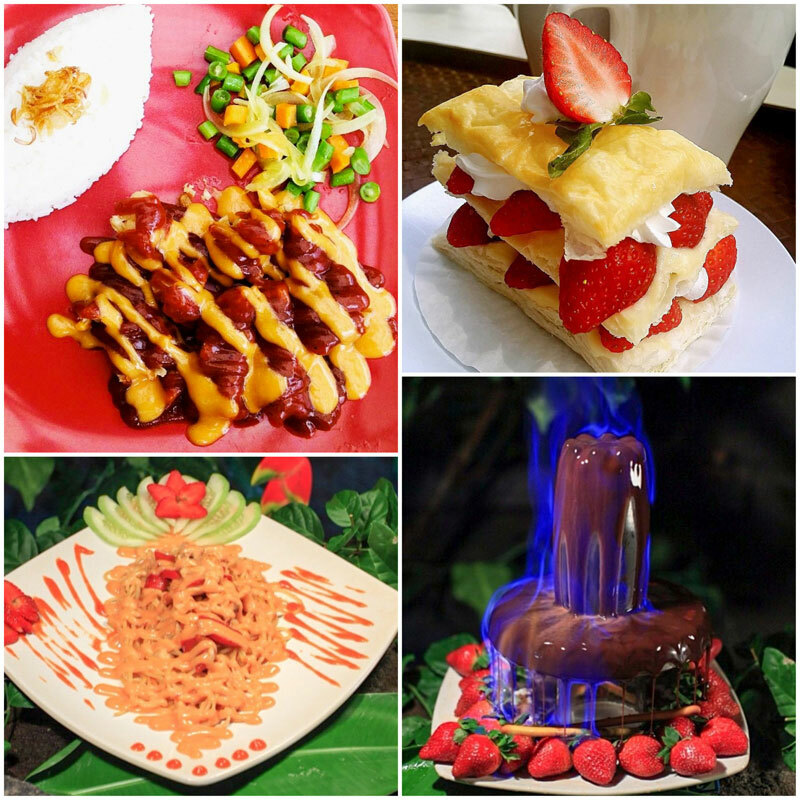 Desserts take the cake with sweet strawberry creations such as Strawberry Flambe or Chocolate Fondue. 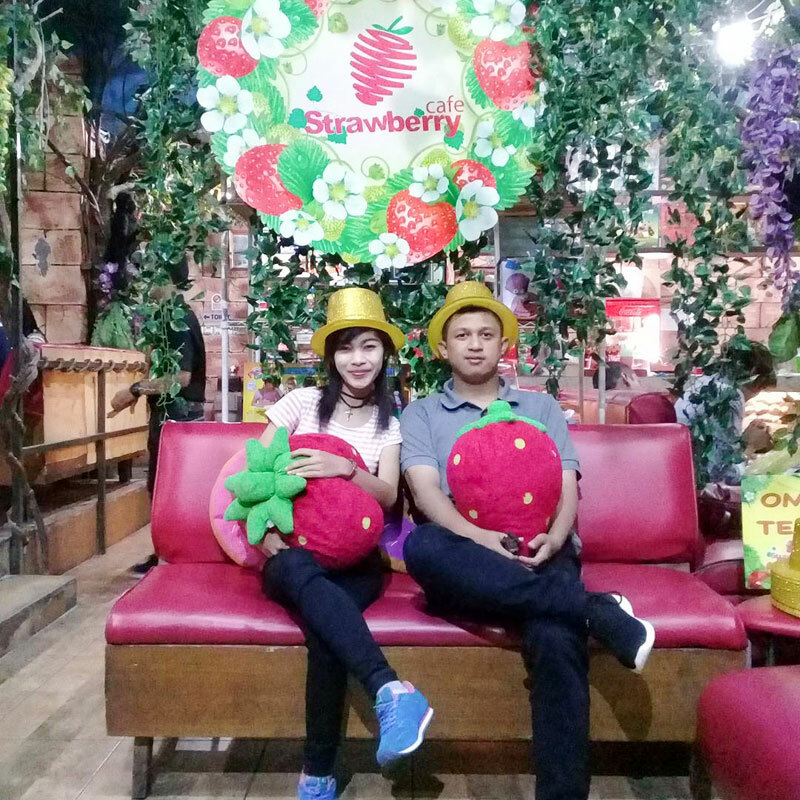 Don’t leave without some strawberry souvenirs too – keychains, sandals, pens, dolls or maybe more strawberries? 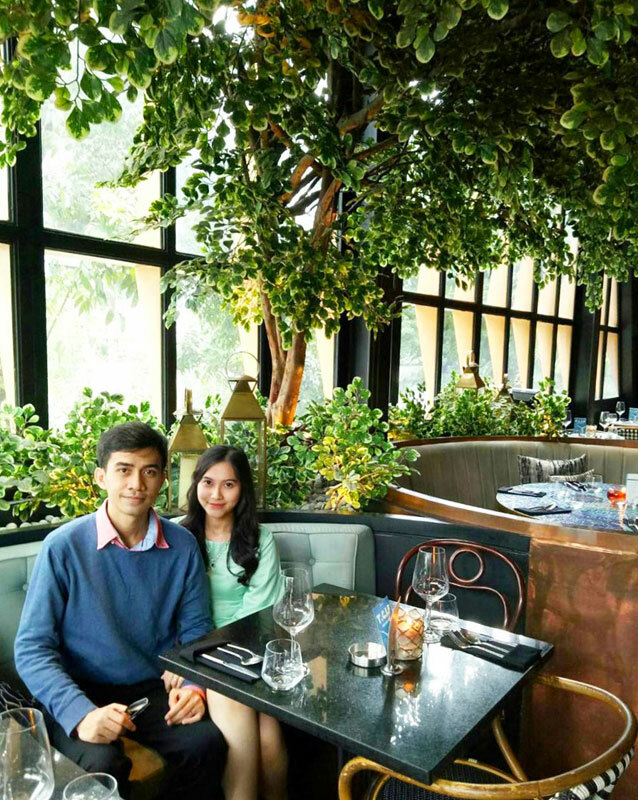 Hyde restaurant is rather hidden and requires a bit of a search, especially if you’re not familiar with the Kemang area. But once you manage to locate it, you’ll be greeted with a posh building and a bright neon sign on top. 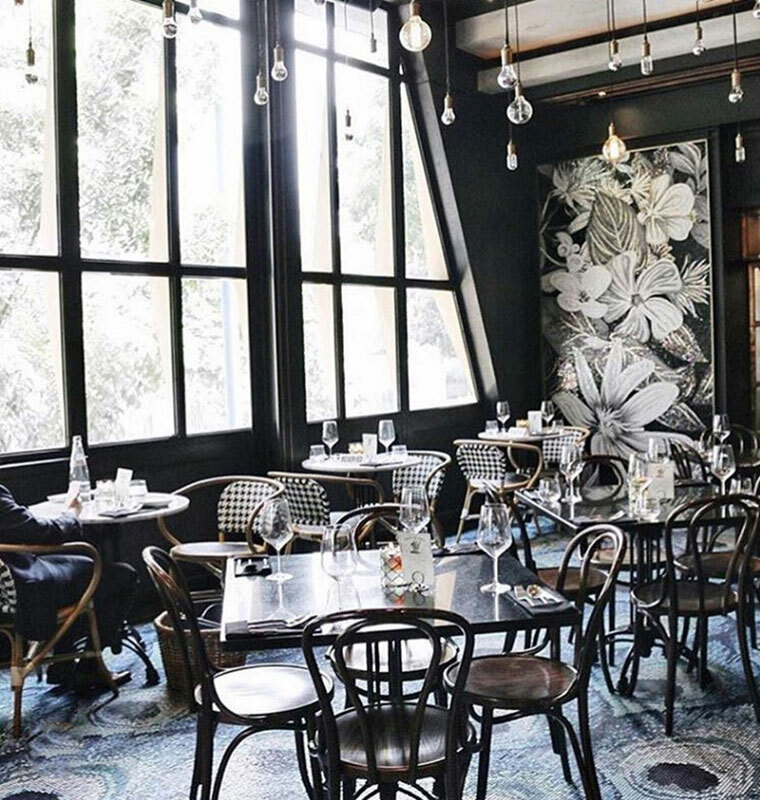 Inspired by classic European and contemporary minimalist design, this comforting and stylish place is perfect for your romantic date, with elegant glass windows, dimly-lit hanging lamps, open liquor cabinet behind the bar and warm cobblestone tiles. Not only can you enjoy the fresh air outdoors, but there’s also a hint of garden indoors, adorned with artsy vertical plants on the wall. 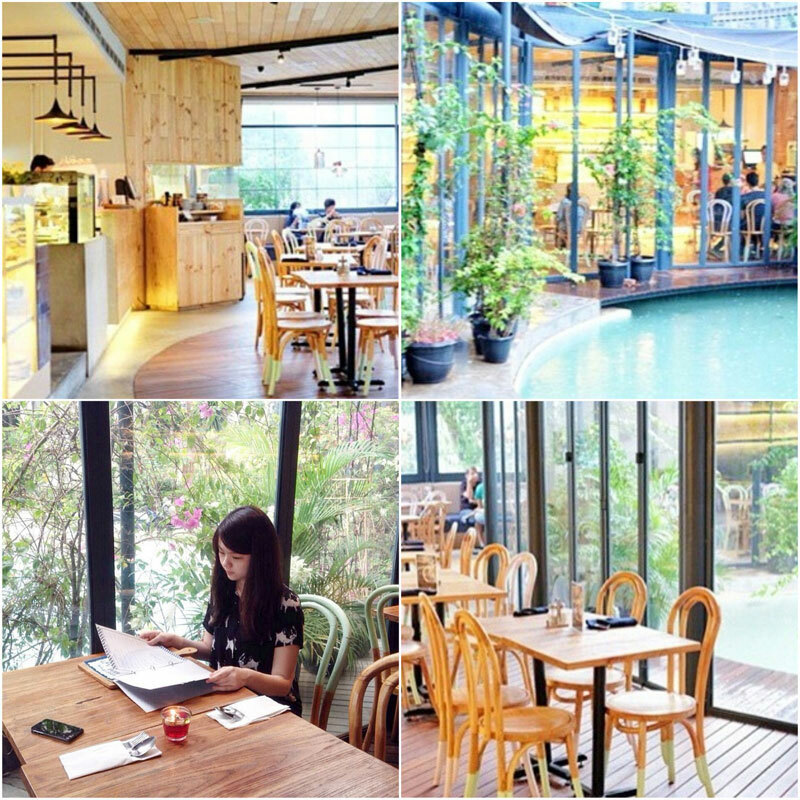 Hyde offers a soothing and fresh vibe compared to your usual chic cafe. 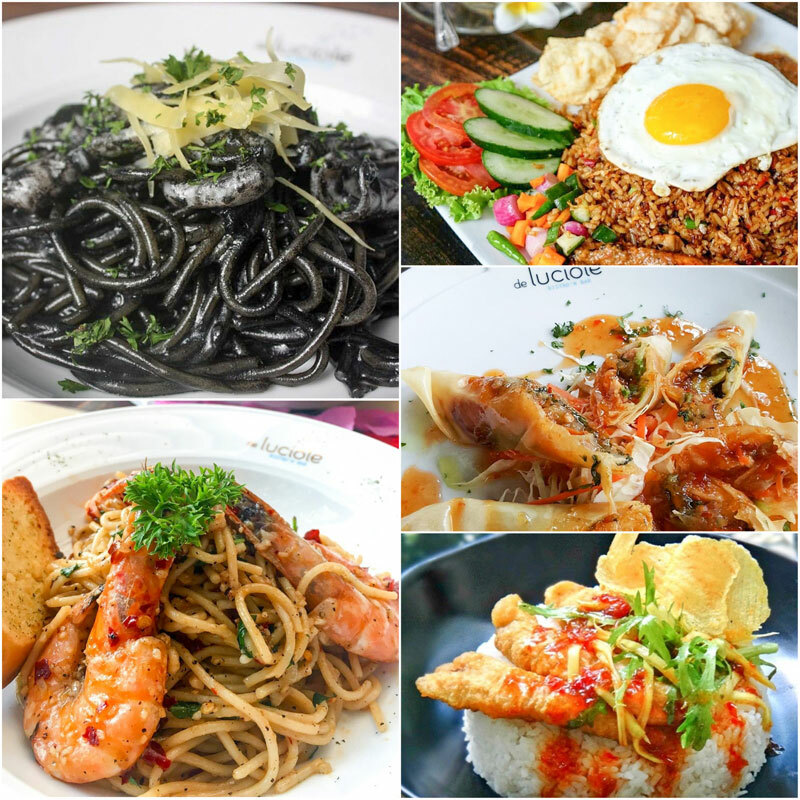 Dominated with an East-meets-West fusion cuisine, you can choose from a variety such as Hyde Fried Rice, Pasta ala Vodka or Aglio Olio. 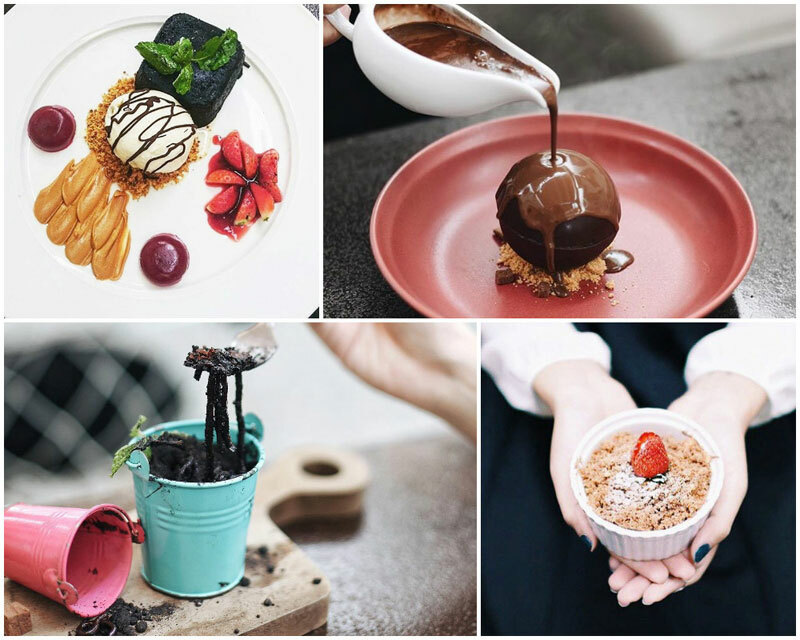 And if you’re one for unique dessert, check out this potted-plant-themed Chocolate Soil, Banana Crumble, their signature Chocolate Bomb and the beautifully presented Choco Larva. Pull up a chair and have a seat at Bottega Ristorante. While not in any way affiliated with Bottega Veneta (that luxurious brand with the gorgeous designer products), Bottega makes a great place to engage in some retail nature therapy. 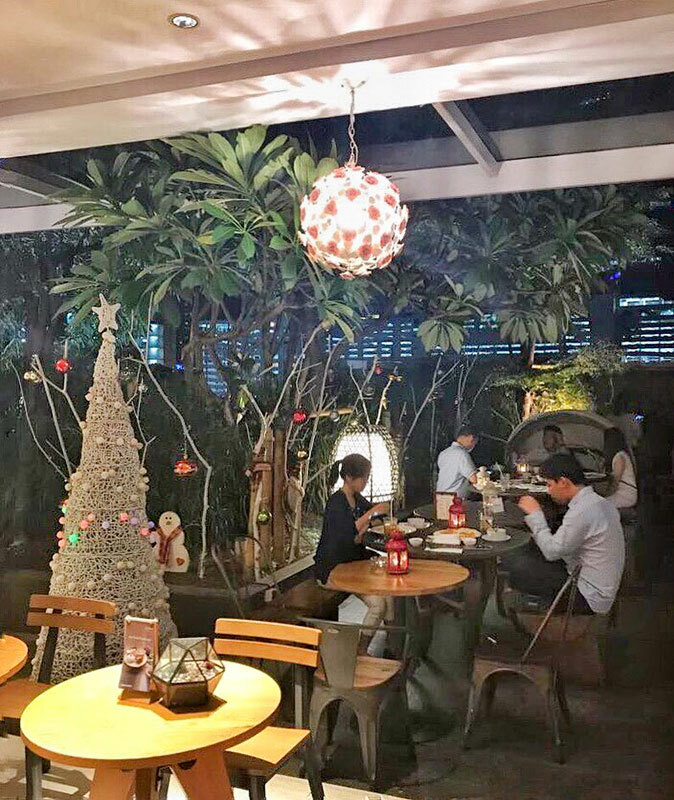 The refreshing rainforest theme will take you away into a soothing semblance of Mother Nature, and makes the perfect backdrop of a hearty meal. 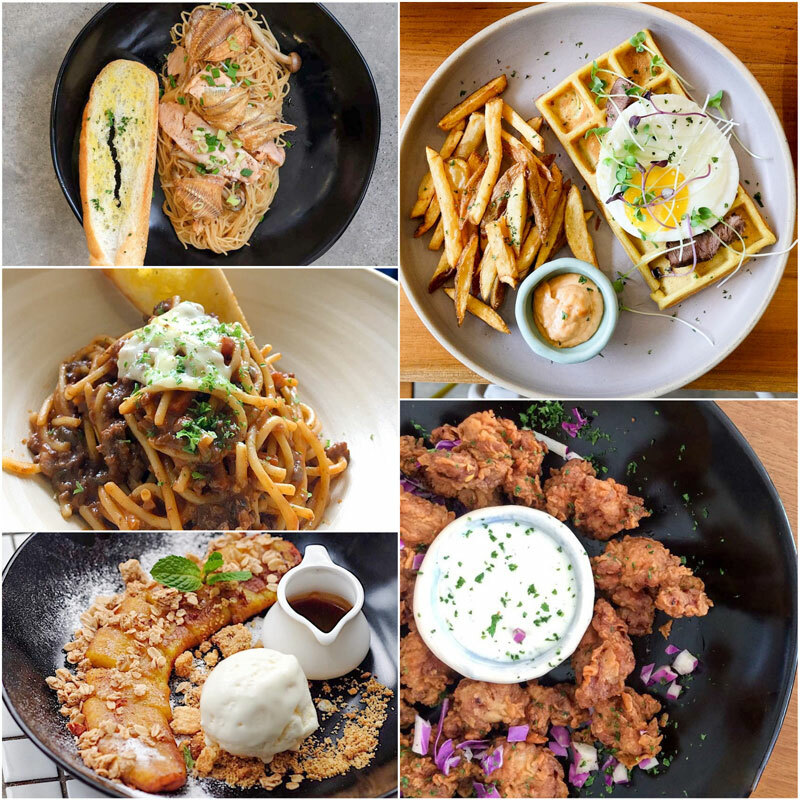 Order up a dish or two off the Western-influenced menu, and dig into Truffle Mac & Cheese, Penne Arrabiatta, or Braised Pork Belly – there are a lot of comfortable favourites available here. What this means is that you’ll get to dig into familiar comfort food, while you relax in Bottega’s soothing surroundings! 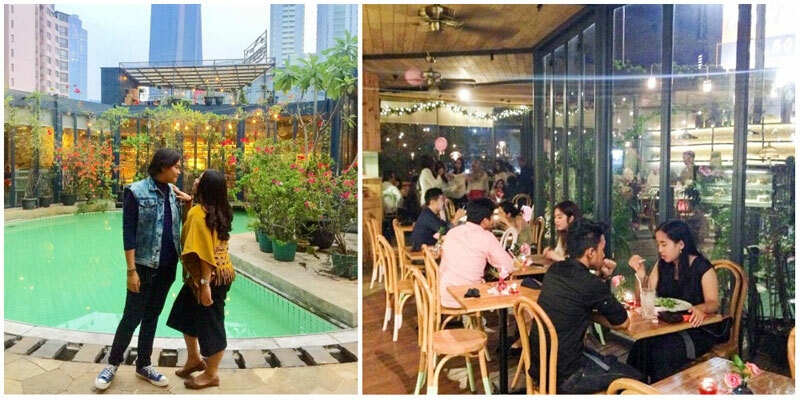 Who says there’s no romantic hangout spots in Jakarta’s bustling city? 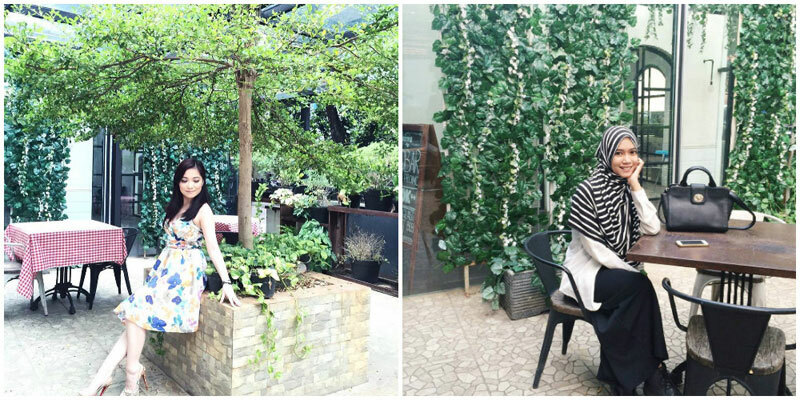 Take a break and bring your love out for a date at these garden cafes. As you surround yourselves with beautifully manicured greenery and flora, you’ll feel your mood lift and your heart lighten. Time to find that romantic spark again! 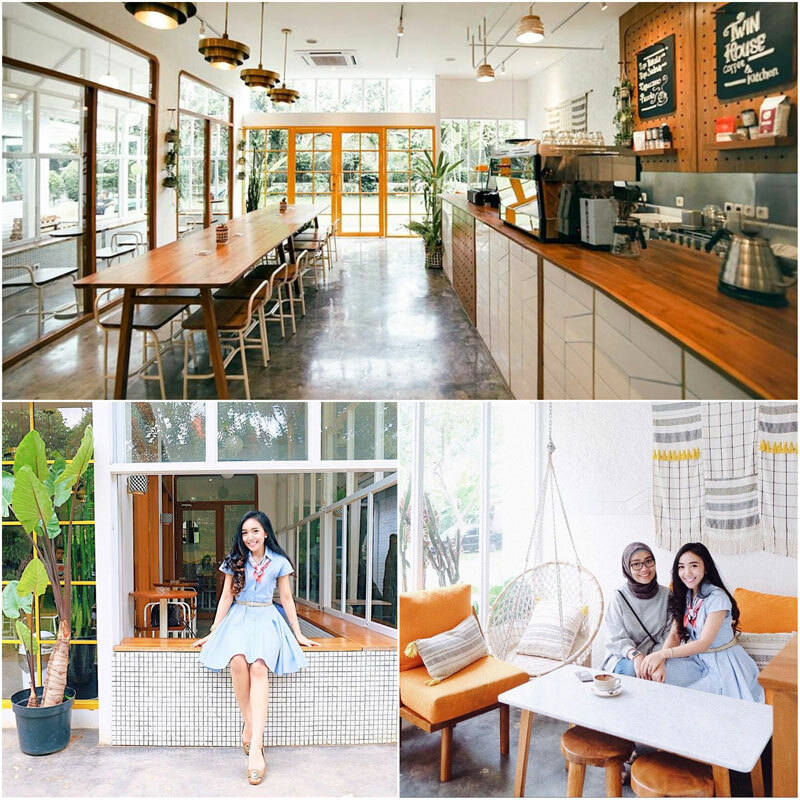 Which cafe is your favourite?